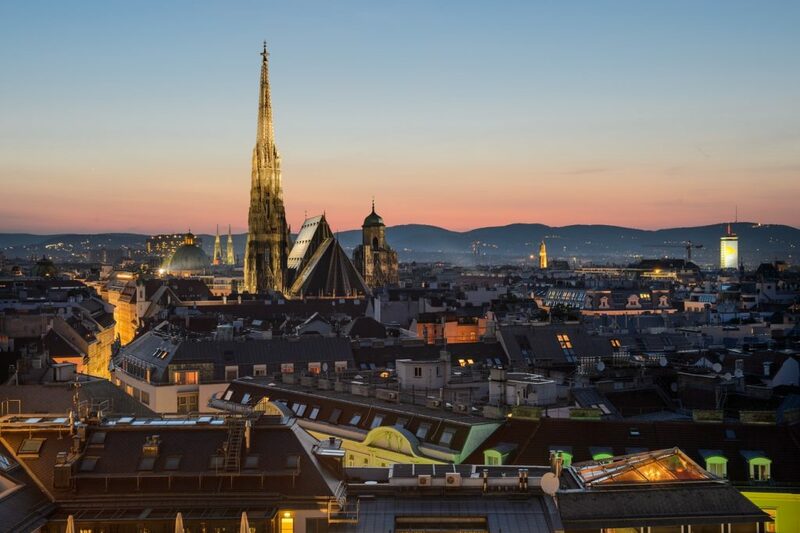 Filled to the brim with Imperial architecture, world-class museums, refined Kaffeehäuser (coffee houses) and an air of elegance, it’s easy to see why Vienna is World-renown for its old world charm and as one of the most beautiful capitals in the world. 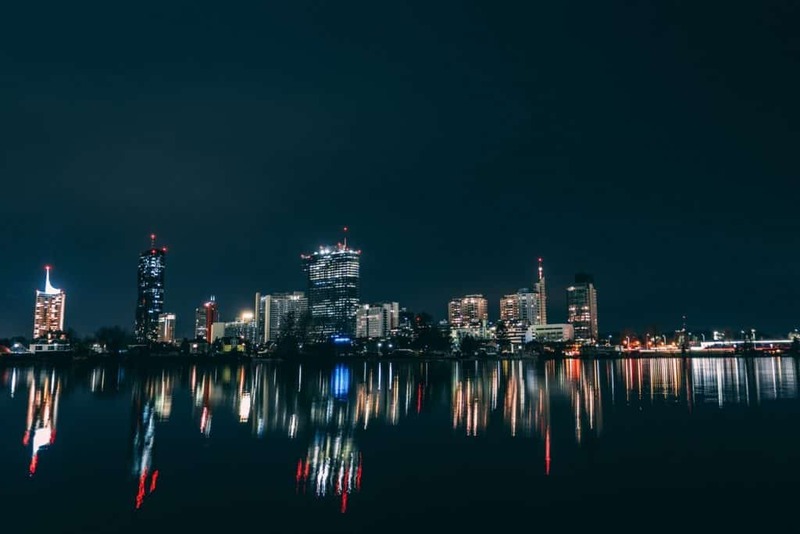 In Vienna, you can also find modern dining, high-fashion, a cutting-edge art scene, and a nightlife scene to rival the best in the world. A city as much in touch with it’s past as it is looking to the future, it’s almost guaranteed you will find something to love about Vienna and will return time and time again. As you might be able to tell already, I absolutely love Vienna. It is one of my favorite cities on earth and besides living here for a short stint in my student years I return to time and time again. Captivated by its modern elegance and rich history – yes, Vienna was for a long time one of the most powerful cities on Earth! – as head of the Hapsburg and then the Austro-Hungarian Empire. Vienna is often overlooked for the cheaper Eastern Europe capitals of Prague and Budapest, but there is no other city on early like it. Vienna holds close it’s past and incorporates it into everyday life, keeping the good and reinventing traditions which no longer are fit for purpose while retaining a deep sense of self. In Vienna imperial trappings still linger in the air, people still greet each other with a casual Grüß Gott (May God be with you) and many grand palaces and museum complexes still dot the skyline. Yet hipster cafes and galleries inflict every inch of this city [reaching contagion level in Freihausviertel neighborhood]. Art, fashion, food is both trendy and backward, pop-up markets in old hidden courtyards – Nightclubs in abandoned subway stations. Vienna is a city so full of contradictions, refusing to let itself be boxed into any one category. At once Vienna is both thoroughly modern yet ridiculously orthodox. And I think, this is what has lead to my love for it. I had an exchange semester here in 2013 and have now been back every year since – It is also what infuses this city with universal appeal, whether you come to hear a classic rendition of Mozart, wander the world-class MuseumsQuartier or attend epic clubbing parties in the City Hall. Haven’t booked your stay in Vienna yet? Get a quick idea of the best places to stay in Vienna and the best prices by booking in advance! 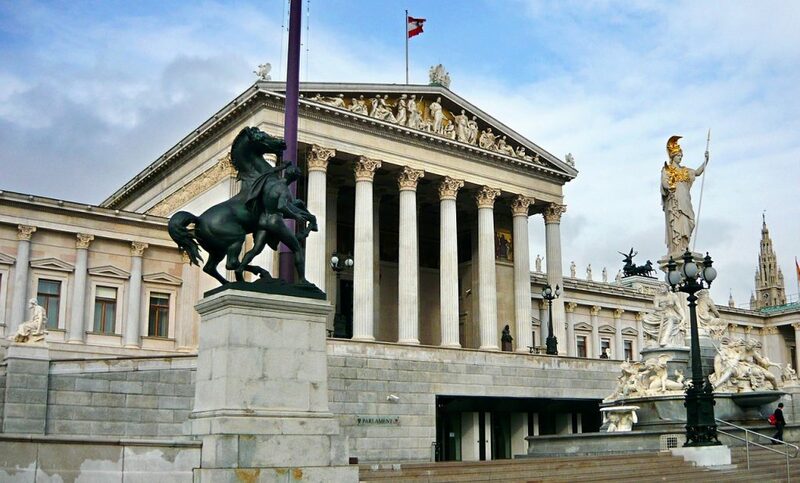 Conveniently located all in one compact area, Vienna’s MuseumsQuartier houses most of the must-see museums … in the old Hapsburgian Imperial stables of all places. The top finds here are the Art History Museum (Kunsthistorisches Museum), the Natural History Museum (Naturhistorisches Museum) and the Leopold Museum with the world’s largest Schiele collection. 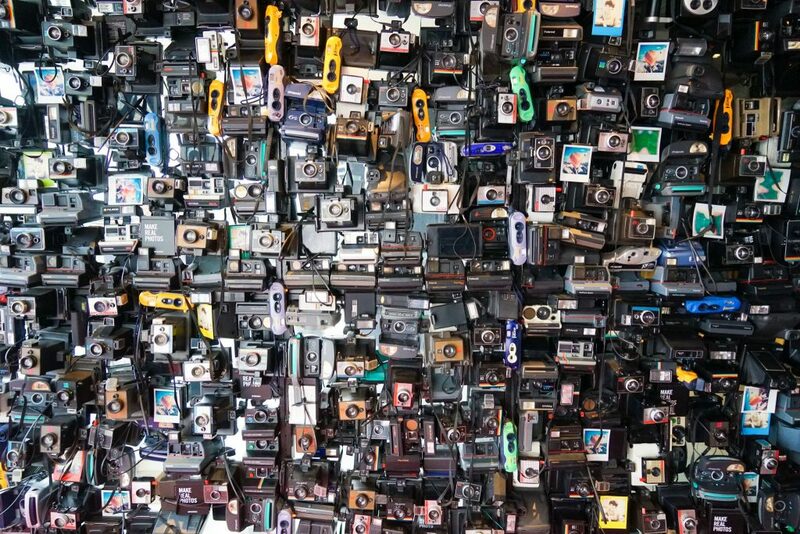 If modern art is your thing you can’t go past the MUMOK (Museum of Modern Art) filled with 20th and 21st-century contemporary art including a large collection of nouveau realism and pop art. If you tire of some of the huge art collections, you can find plenty of designer boutiques and trendy bars in the surrounding nearby backstreets. Forget the luxury boutiques – with price tags to match – off Kärntner Strasse and Kohlmarkt in the inner city, Mariahilferstraße is where the Viennese head for all their shopping needs. Going for what seems like miles and miles, this is Vienna’s High Street with practically every big name you could want, and corresponding crowds on the weeks. 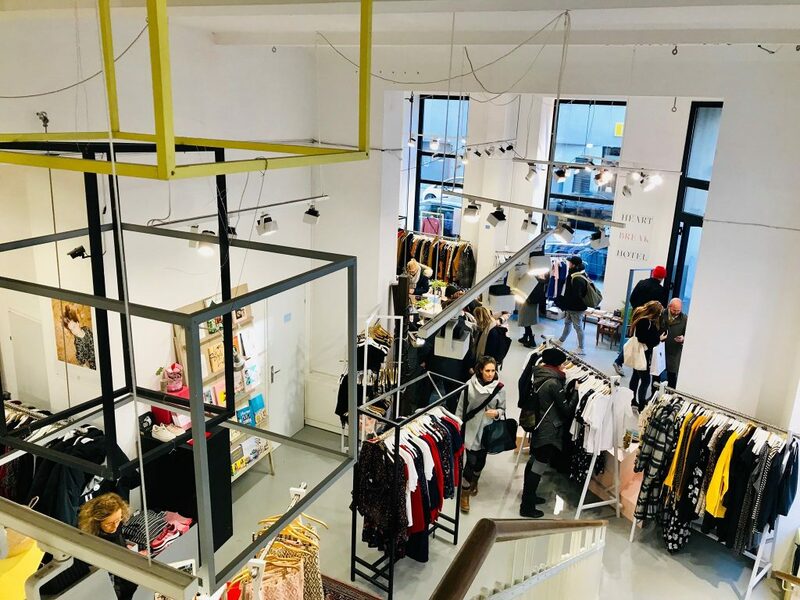 There are also plenty of ornate window displays, pop-up stores, and dining options on Mariahilferstraße, and if it all gets too much you can duck down Kirchengasse, Lindengasse or Neubaugasse for more hipster concept stores and hidden gems without the crowds. 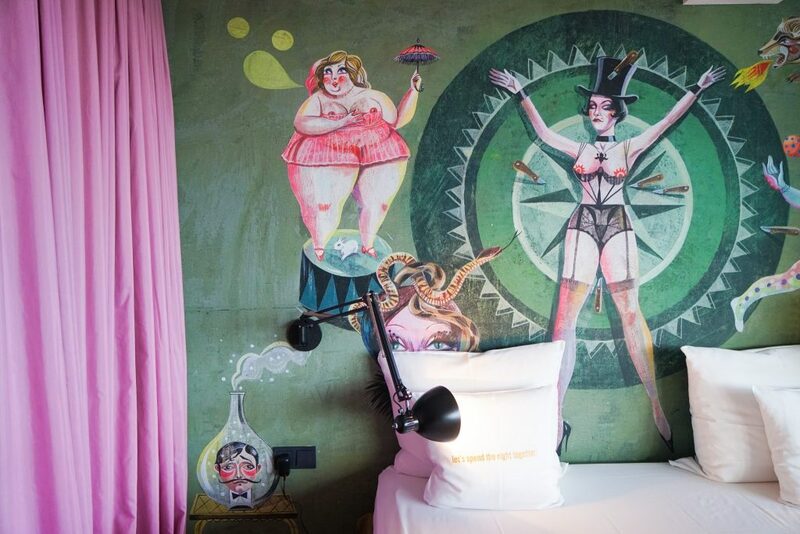 Locally known as the ‘it’ spot, the 25hours Hotel Vienna is a perfect antidote to Viennese Classism – young, hip, irreverent and fun. Themed around the Viennese Circus of old, the location of 25Hours Hotel Vienna truly cannot be beaten just a stone’s throw from the Museums Quartier and Old Town while overlooking the Austrian Parliament. With spacious, modern rooms and fun amenities like complimentary use of a Mini, access to the mega-popular Dachboden rooftop bar and Mermaid’s Cave sauna area. 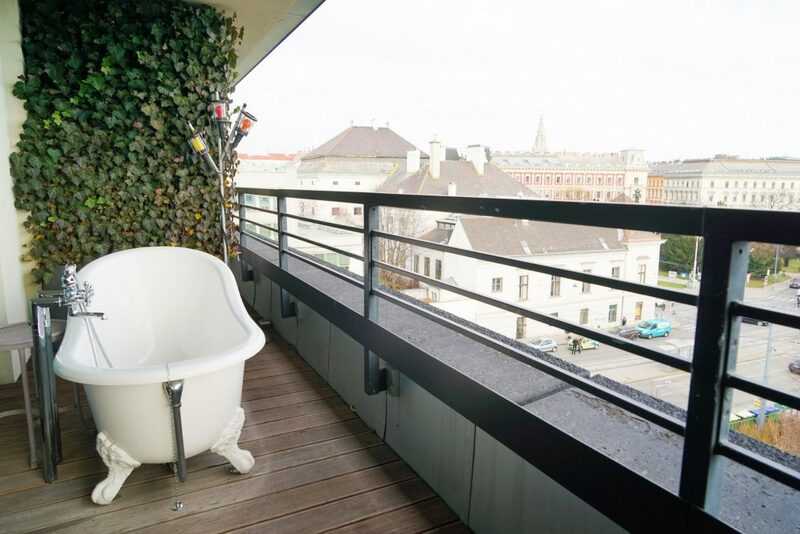 With bold colors, zany catch-phrases and over-the-top design, the staff are quick to say they are not ‘luxury’ but I can’t imagine a more luxurious escape than their designer suites with exterior bathtubs with views of the Hofburg. 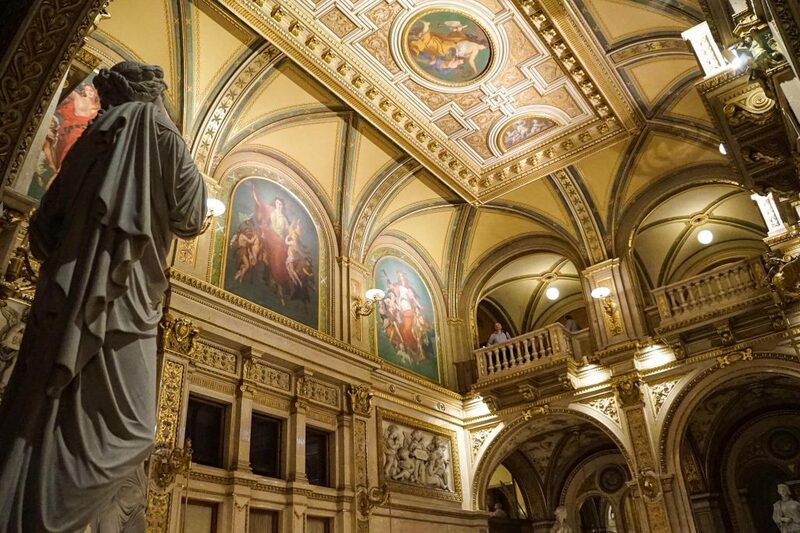 Classy without pretense, come as you are and discover the best place to stay in Vienna! 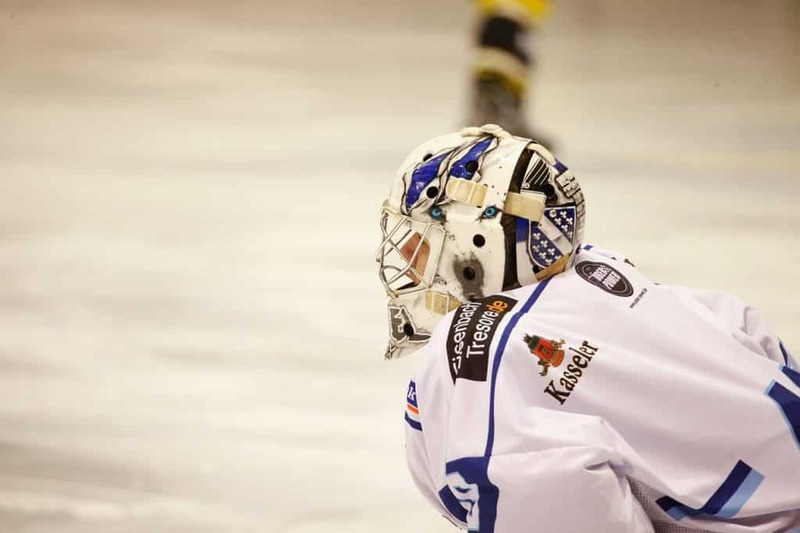 The excitement is palpable here and if you are lucky enough to get to see an ice hockey game in Vienna you can watch on with glee while the locals forget their normal reserved ways and scream their heart out for the home team – The Vienna Capitals. Wondering where to watch Ice Hockey in Vienna? You can see games played at the Albert Schultz Eishalle. The Austrian Hockey league (also including teams from neighboring countries) starts from mid-September and really is one of the top things to do in Vienna. Escape the heat and take in some of the best views of the city at Krapfenwald Pool. A place you won’t believe is public and on the weekends has a very ‘seen and be seen’ vibe. Take a picnic, pack your best swimming trunks and lap in the nostalgic flair of the 1930s Krapfenwald Pools – all for only €4 euros! The woods nearby have some great mountain biking and walking trails if you are feeling extra energetic. 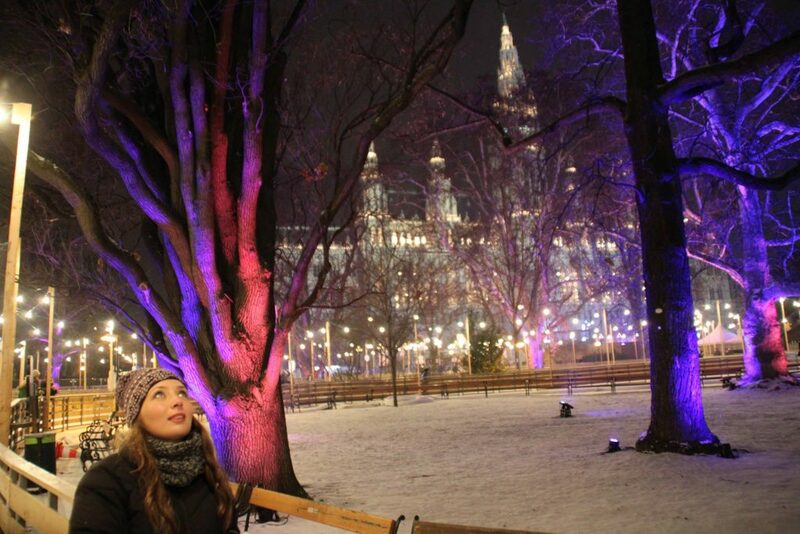 Visiting Vienna in Winter? 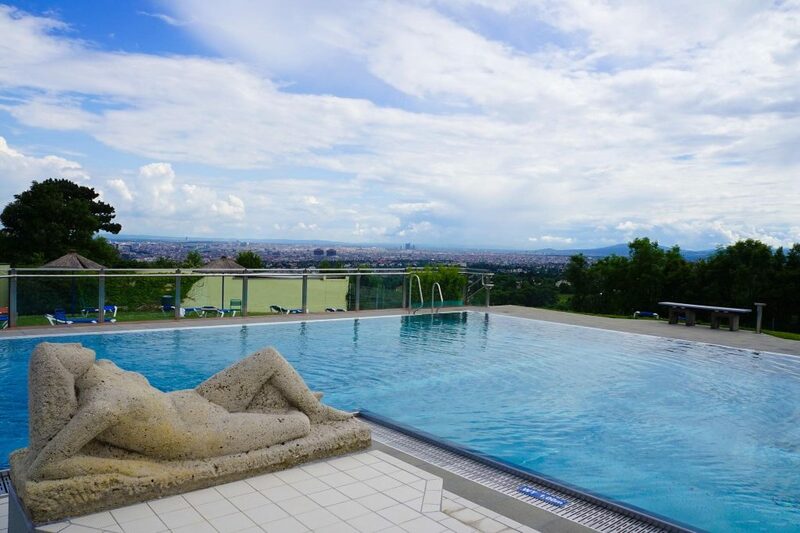 Head to the Oberlaa Therme Wien, Austria’s largest hot pools with luxurious whirlpools and grotto-pools. 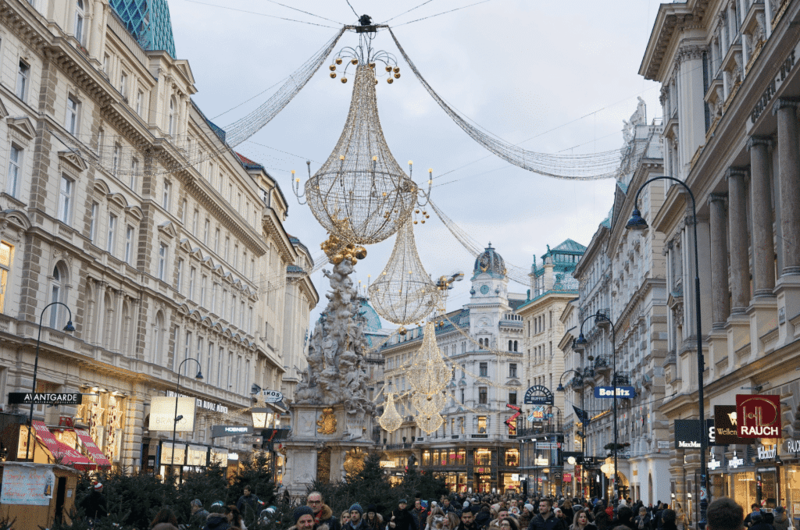 Everyone knows the best Austrian Christmas Markets are found in Vienna so shop [or drink] till you drop at some of the best Christmas markets in Europe. 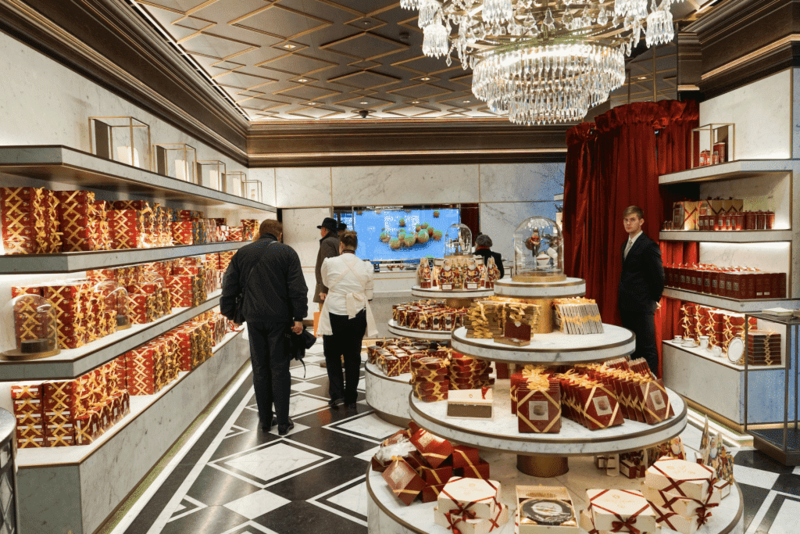 From mid-November through to Christmas, Vienna’s most scenic spots are filled with the aroma of baked goods and hot punch getting everyone excited for Christmas. Stalls upon stalls selling the most intricate decorations you have ever seen, but window shopping can be just a nice! 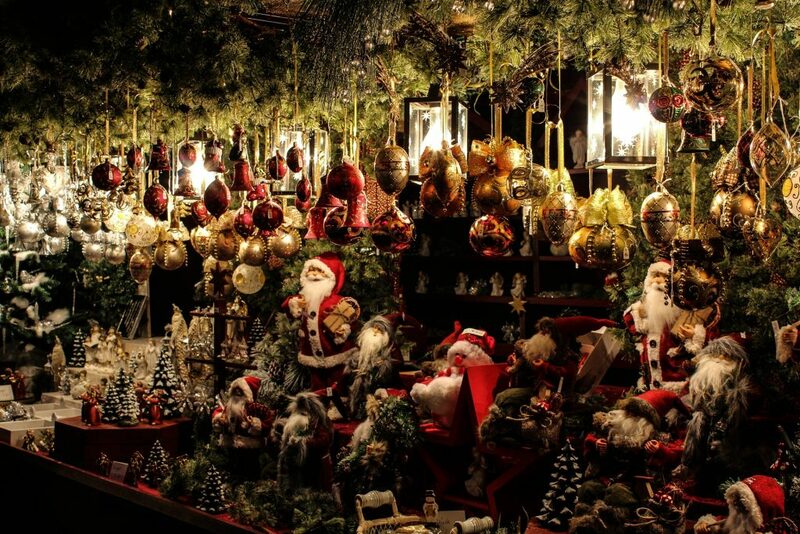 My favorite is the traditional Vienna Magic of Advent where the Rathausplatz becomes a magical fairytale oasis in the dark, however, it can be incredibly popular so you can find a list of many, many others here. 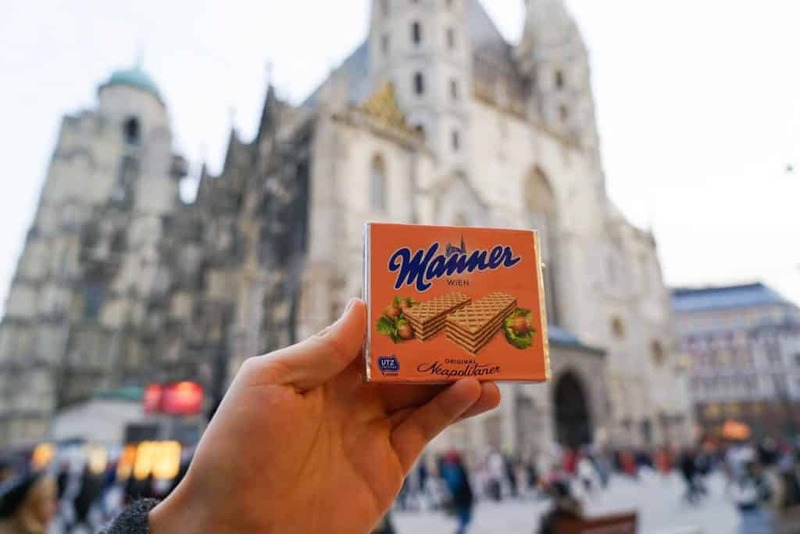 As cliched as it might seem, you really can’t miss the opportunity to visit the flagship store of Vienna’s favorite sweet snack – Manner – a delicious hazelnut cream wafer dating back to 1989. 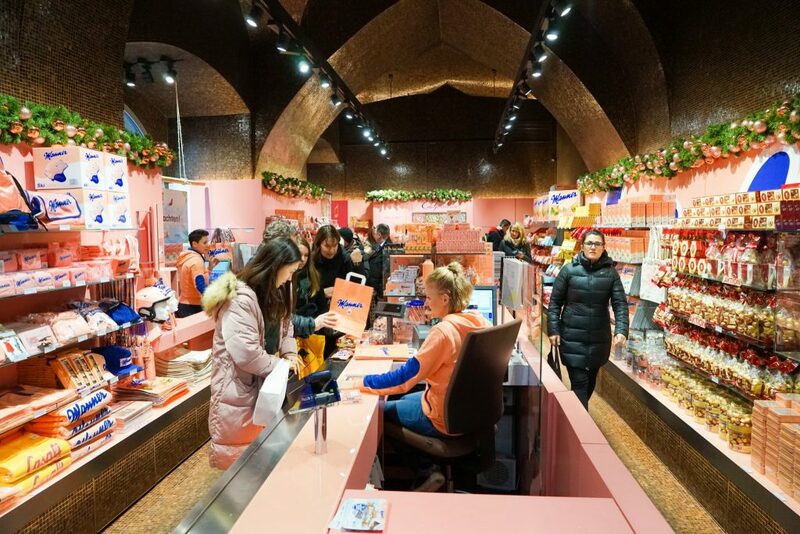 Somewhere between an eye-sore and a city icon, missing the Manner store’s trademark peach-pink color would be rather difficult – even in the crowded Stenphanplatz. Once inside you will be immersed in every conceivable variant of the product, most you will never find anywhere else. Think cereals, liquors, new flavor combinations and more. It’s all at prices similar to a normal store as well which makes it great for getting your Vienna souvenirs. Traditionally served in Austria with Kopfsalat (lettuce tossed with a sweetened vinaigrette dressing), potato salad, cucumber salad, or parsley potatoes – you can now find as many variations are places serving it, which is to say many. It can also be served with rice, french fries or roasted potatoes, but a good restaurant would always serve it with a slice of lemon, to give the breadcrumbs more taste, and a sprig of parsley. A popular variation – both locally and globally – is for schnitzel to be made with pork instead of veal, because pork is significantly cheaper than veal, but an authentic Wiener Schnitzel must be made of veal. Which begs the question, with so many options and types…Where is the best place for Wiener schnitzel in Vienna? This is going to be controversial but I’d recommend (based on local tips) Lugeck, in the heart of the Vienna downtown which offers Austrian cuisine in one of the most picturesque buildings in Vienna, lovingly restored and now famed for its modern style. 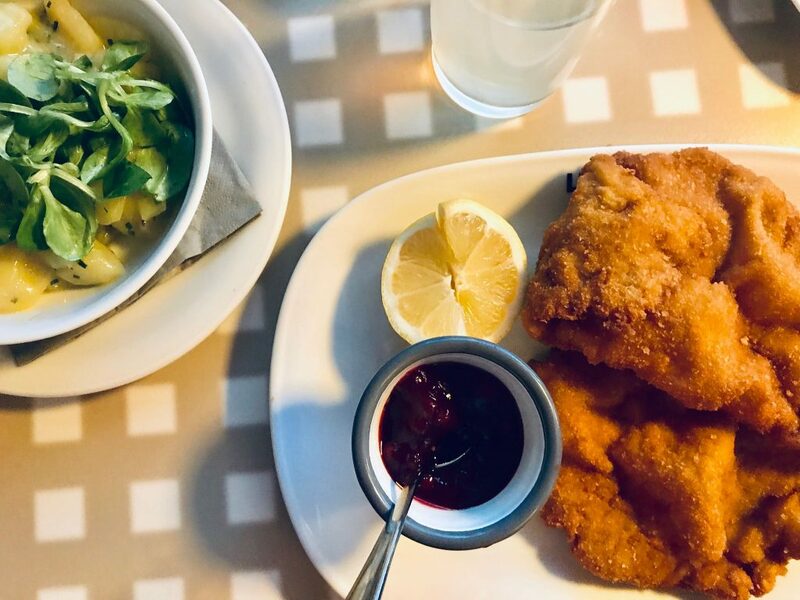 For something more traditional you could also try nearby Beim Czaak, a Rustic tavern with a large garden offering classic Austrian dishes including Wiener schnitzel with local draught beers and wines. 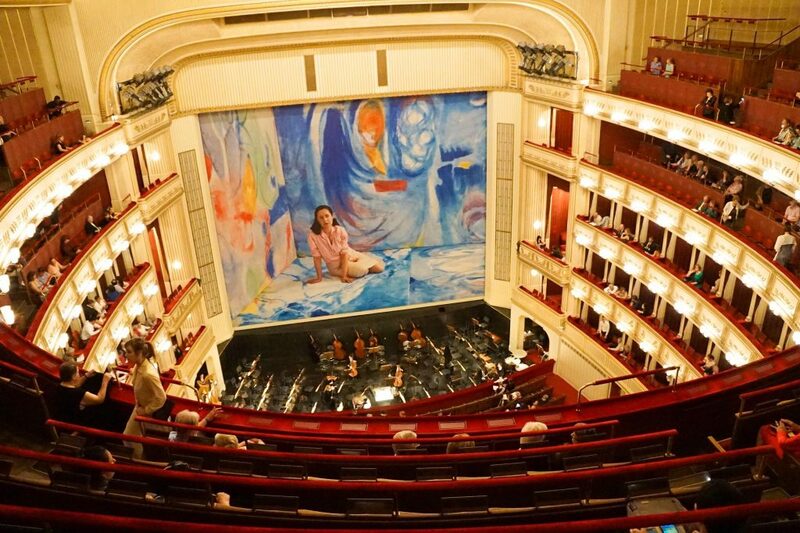 Check out a world-class opera or ballet at the Vienna State Opera at a fraction of the price. 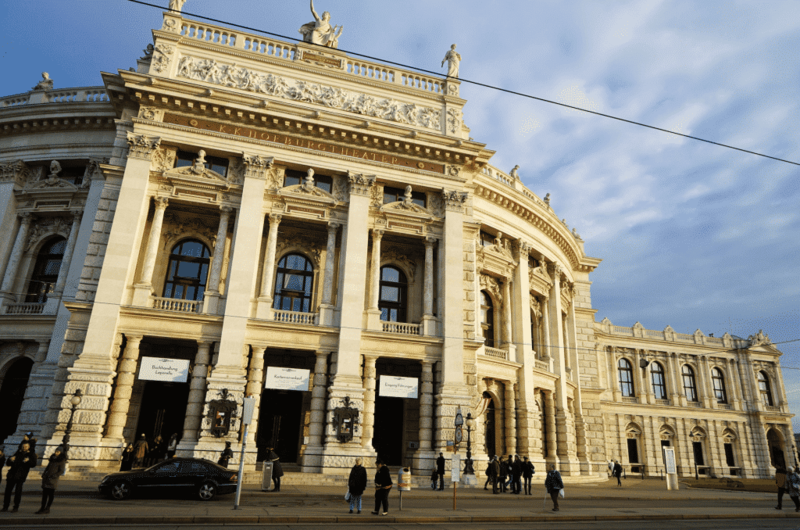 Standing room tickets here go for as little as 3 euro and are relatively easy to get – Just follow this easy guide to getting Vienna Opera standing room tickets on the cheap! The city has a strong musical history that continues today and its performances reflect this. The building itself is absolutely stunning and a night here will be absolutely unforgettable. 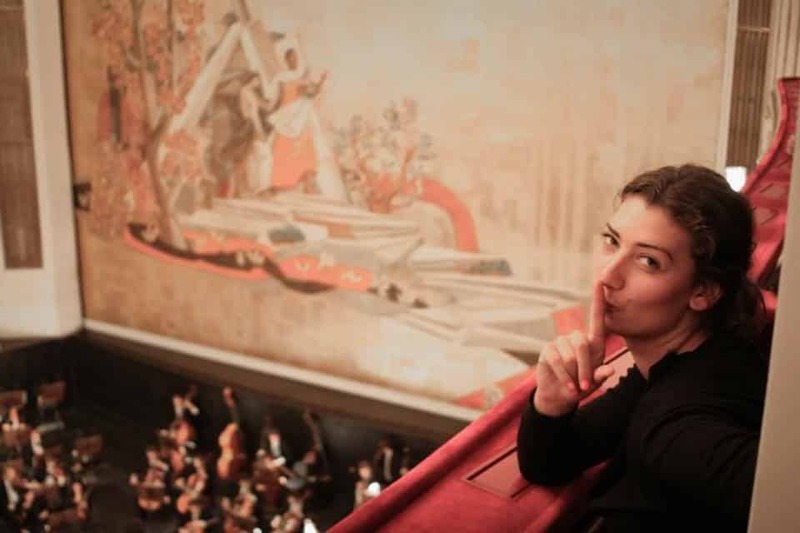 Be sure to dress up and get ready to see how seriously Austrians take their opera! 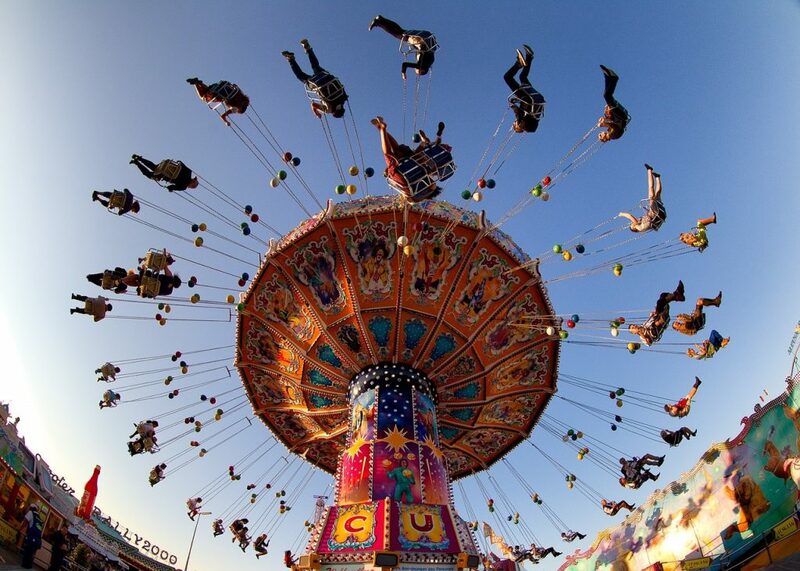 A trip to Vienna would not be complete without wandering the Würstelprater / Prater Fair Grounds and gazing upon Viennese Icon, the 1897 Risenrad Ferris Wheel. The perfect place for people watching day-or-night, for me the true highlight is not the birds-eye view from the Wheel but having a beer and partaking in all the merriment. 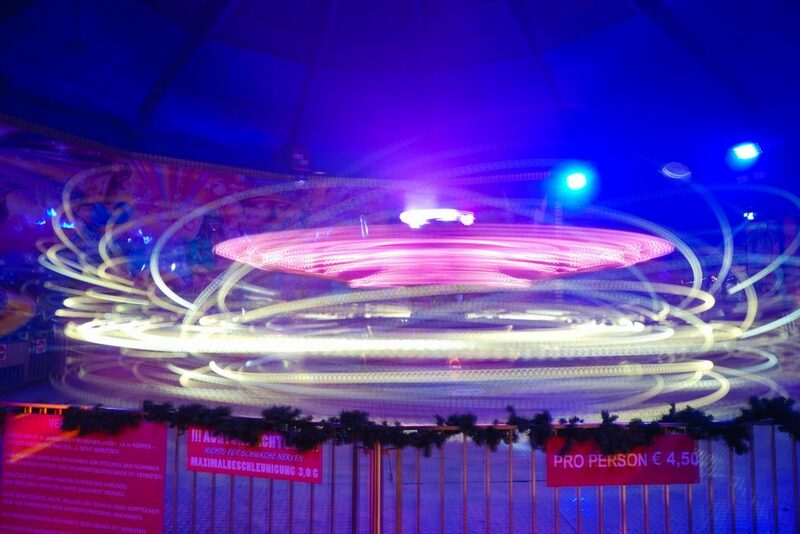 Rides are individually purchased for around €3-5, and at night expect everything to be lit up in a kaleidoscope of color and sound. There is also an expansive green parkland next door, and many of Vienna’s biggest clubs and bars are found around here. The best views of Vienna from the tallest building in Austria – and with delicious cocktails and gourmet dining. 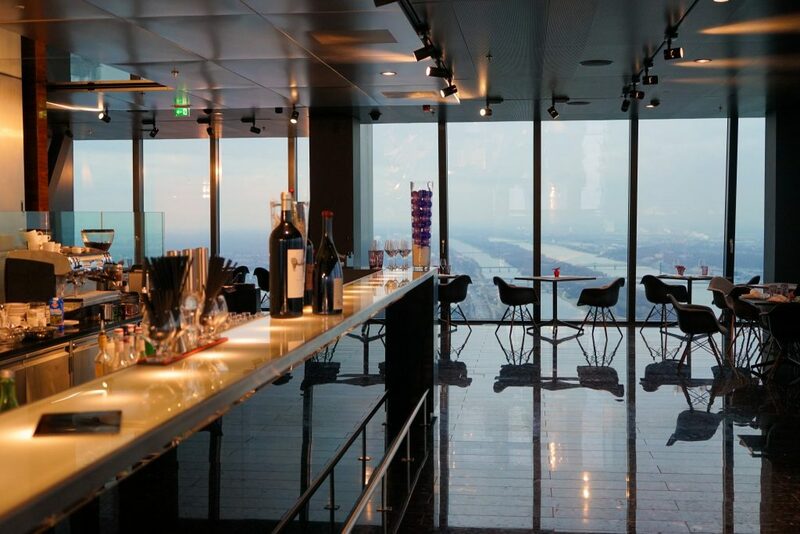 Occupying the top two floors of the 220m Melia Hotel Vienna building, the chic black marble decor with floor-to-ceiling windows and the outdoor terrace is a welcome addition to Vienna’s dining scene and offers a far superior experience to the dingy Danube Tower next door. On a blue-sky day, the 57 Lounge & Restaurant really is one of the best things to do in Vienna…but it still looks beautiful in the gloomy winter! UNO-City, or the Vienna International Centre, houses the third largest UN offices in the world. The UNO-City is worth a visit if only to see the wholly modernist design constructed in 1979. when Vienna was seen as somewhat of a neutral point between Soviet and NATO powers. 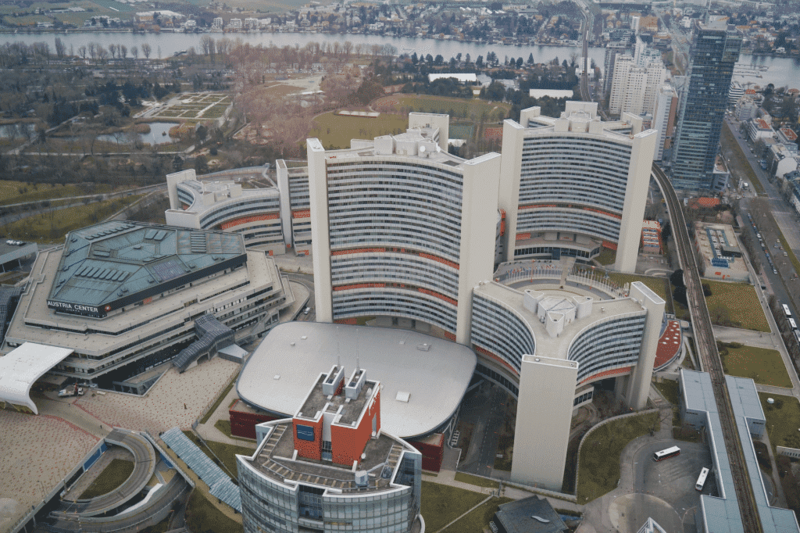 Whatever your views on the current functionality of the UN, a guided tour of the Vienna UN do give an intriguing glimpse into the work done here behind closed doors and the relevance of the UN today. Be sure to bring your passport for the curious experience of entering the extraterritorial complex. 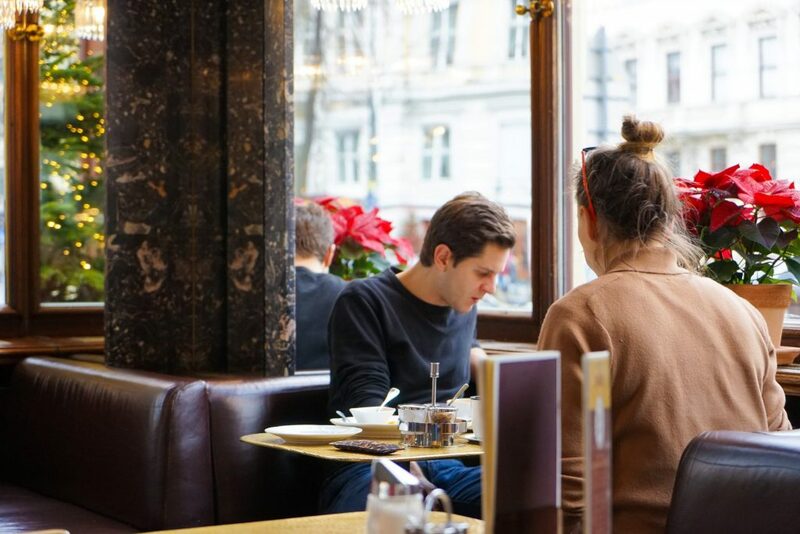 Probably the most famous cafe in all of Vienna, the Sacher Cafe houses in the historic Sacher hotel is famed for the Sacher Torte, invented by the hotel creator and beloved by Emperor Franz Josef. 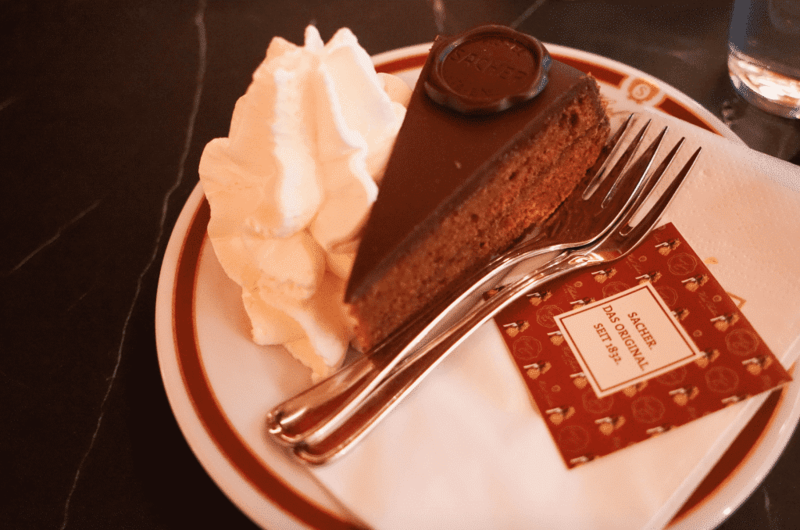 A delicious iced-chocolate cake with a layer of apricot jam, the Sacher Cafe with its opulent interior and elegant old-world charm is undoubtedly the best place to try the Sacher Torte – best enjoyed with a melange coffee. 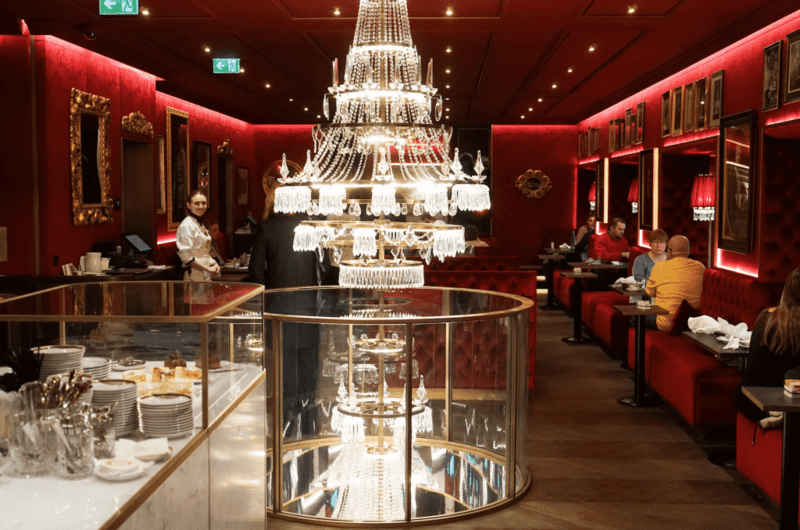 Recently renovated the Sacher eck off-shot has just opened its doors within the same building as beautifully modern space with traditional styling, helping to secure the relevance of Sacher for the next 100 years. 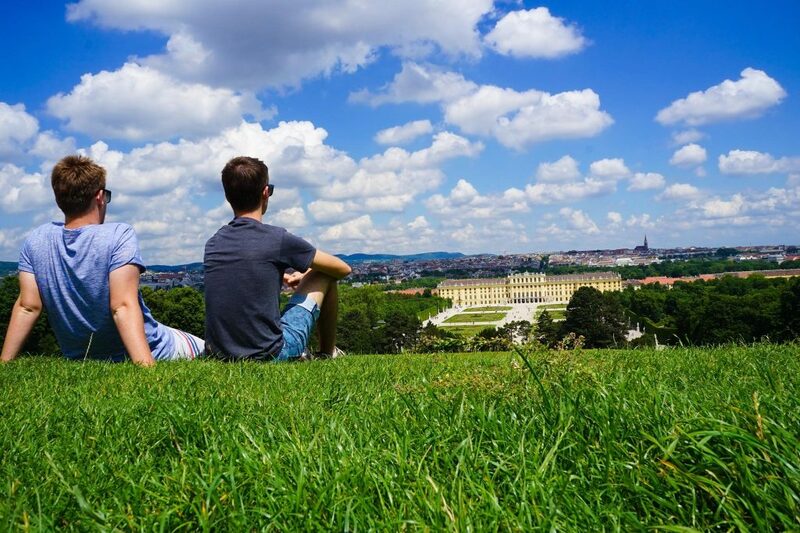 Probably the most beautiful baroque palace in existence – and gives Versailles a run for its money – there is no excuse for not visiting the Belvedere Palace and Gardens being so close to the city center. The Belvedere Gardens are free to walk around day and night offering a jaw-dropping view of the Vienna skyline – but for a complete visit, you need to pony up to see it’s famed frescoed halls adorned with works by Vienna’s own Klimt and Schiele. If you’re visiting Vienna in December the Belvedere Christmas markets are amongst some of the most beautiful – and yet somehow local secret tourists have yet to find while in the summer the Belvedere Gardens come alive with bright flowers and is perfect for a romantic stroll. 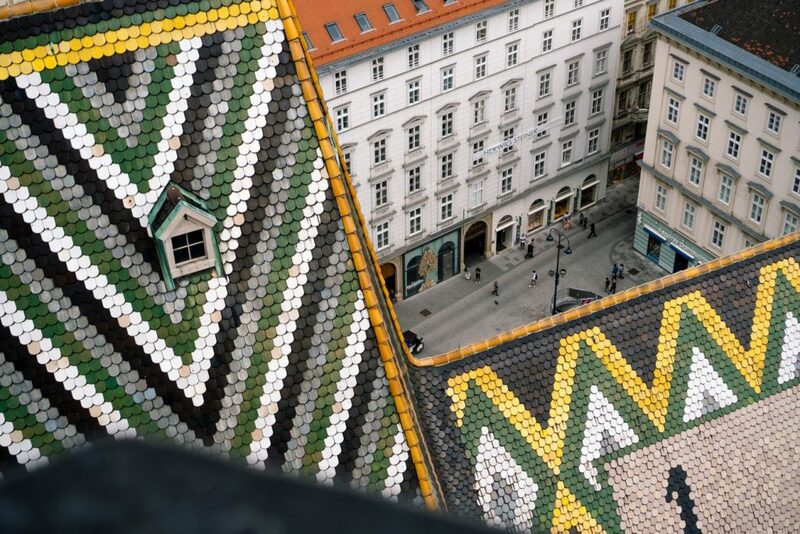 While Vienna might be more famous for its waltz balls than all-night club scene, there is plenty to be discovered here – if you know where to look. Nights out start late here as locals love to pre-drink at home (or in parks in the summer) and it’s not uncommon for venues to not get pumping until 2 am. Refreshingly for Europe, lines are often short and bouncers friendly with a pretty relaxed dress code. Look out for Facebook events at the techno club Donau and Club U in a repurposed subway station. 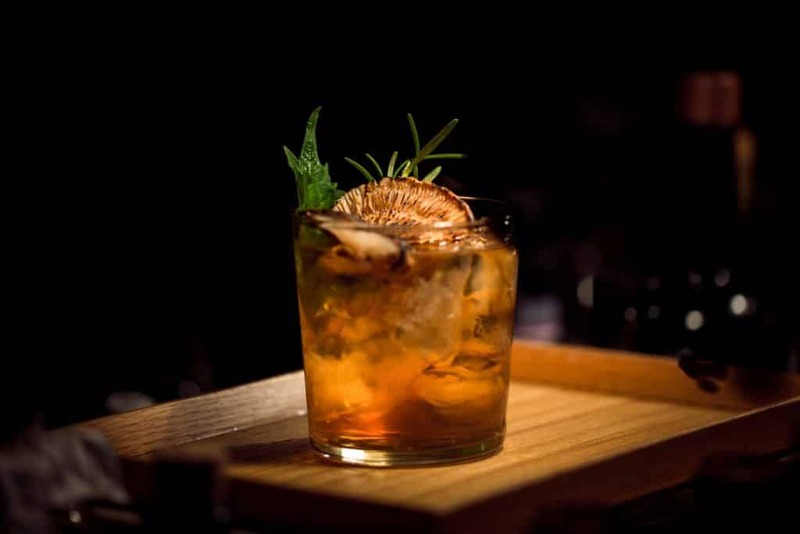 For cocktails head to the retro Le Troquet or Loos American Bar. Expect plenty of new concepts, time-traveling and incredible repurposed spaces (though none that can compete with the ruin bars of Budapest). 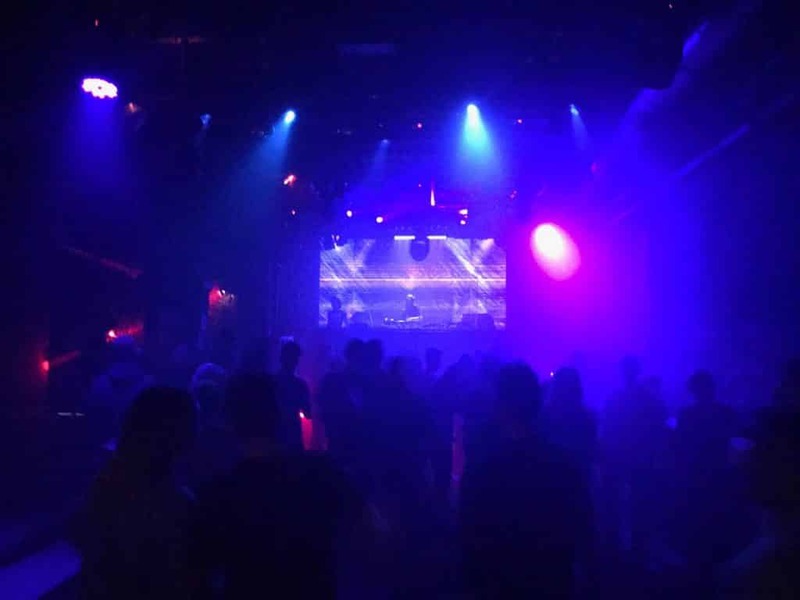 A good resource for the latest clubs and events in Vienna can be found here. All of Vienna highlights on one street, you can’t miss a wander along the Ringstrasse – one of the most beautiful streets in the world. Encircling the Old Town of Vienna you can find plenty of grand palaces, hotels and stately buildings on this land once used for walls to protect against invaders. 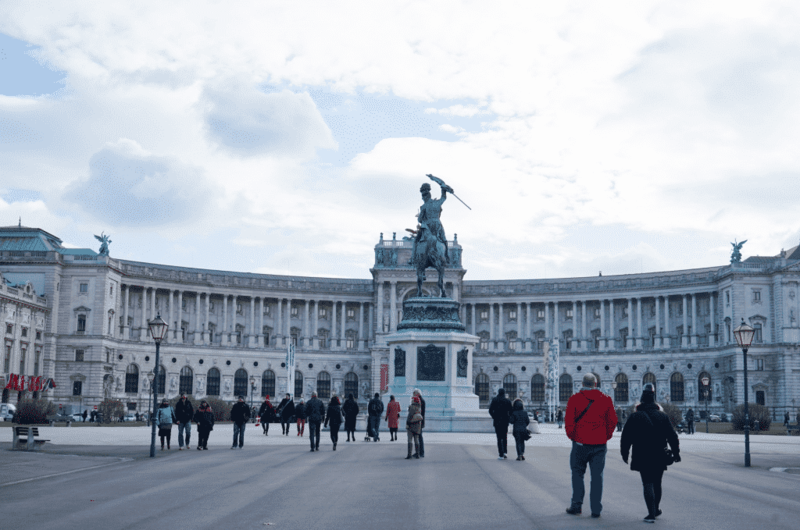 The great divider between the inner and outer suburbs in Vienna, you can’t miss the Hofburg Palace, the State Opera and the Vienna Rathaus amongst many others. The best way to see it is by walking but there is a Ring Tram complete with commentary if you prefer. A true wonder of Europe, the historic old town of Vienna – now a UNESCO World Heritage Site – still maintains the feel of the great age of Viennese Classicism and it’s almost as if no one told the Austrians about the fall of the Austro-Hungarian empire. Expect plenty of tour groups and crowded streets, but it’s worth it to admire the rich architectural ensemble largely unchanged over the centuries (bar a few glaring exceptions thanks to World War Two). Try to get off onto a quiet side street to experience the pedestrian streets and don’t forget to look up, the level of detail here is truly astounding. 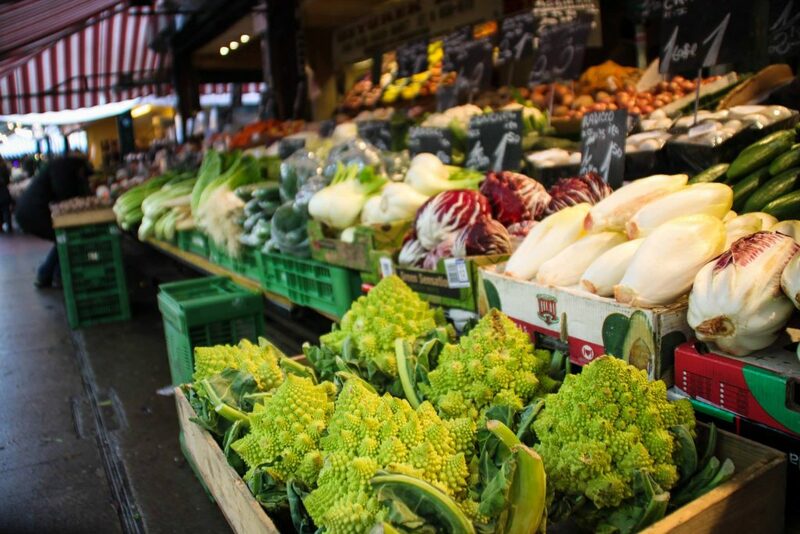 Sample exotic foods and drinks at the Naschmarkt, a Viennese tradition since the 16th century! 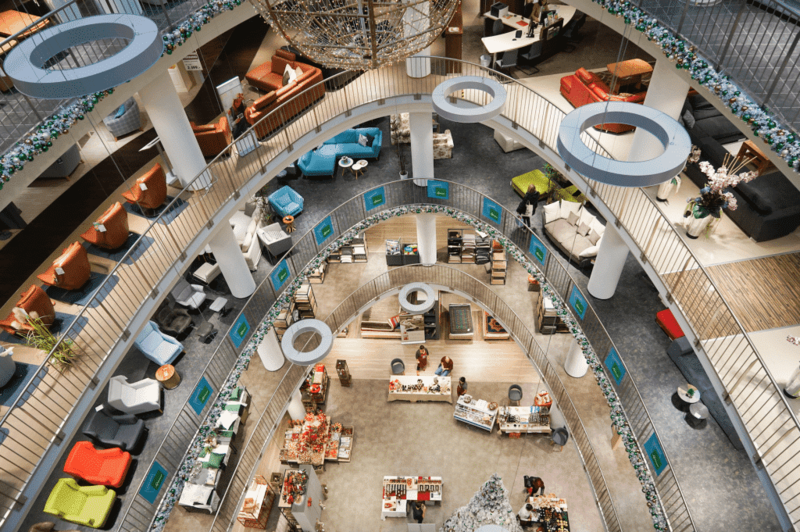 Fresh fruit and vegetables from around the world arrive here every day and are joined by exotic herbs, cheese, baked goods, meats, and seafood. There are around 150 stalls with colorful owners and a mouth-watering variety of treats. There are also many small restaurants and don’t miss the Naschmarkt flea market on Saturday that is somewhat of a cult event. Oh, and the Naschmarkt district is home to much of the Vienna gay scene if you are interested! 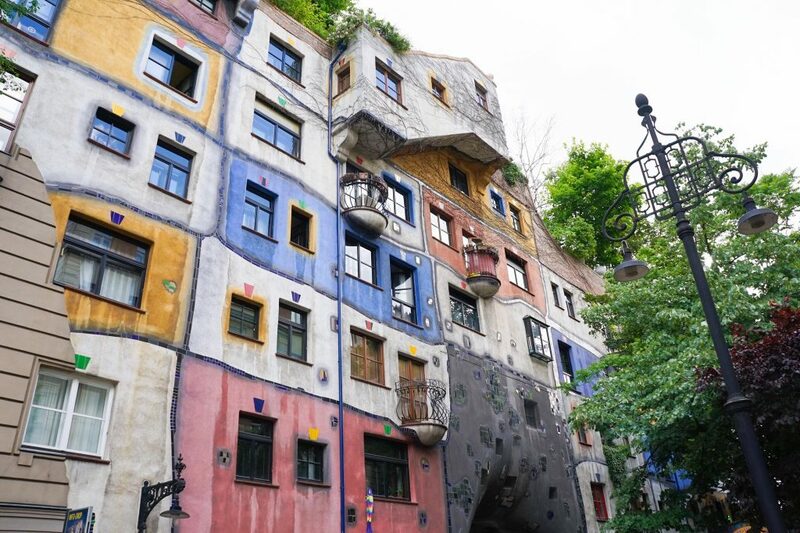 Marvel at the Hundertwasser House, one of Austria’s architectural highlights. 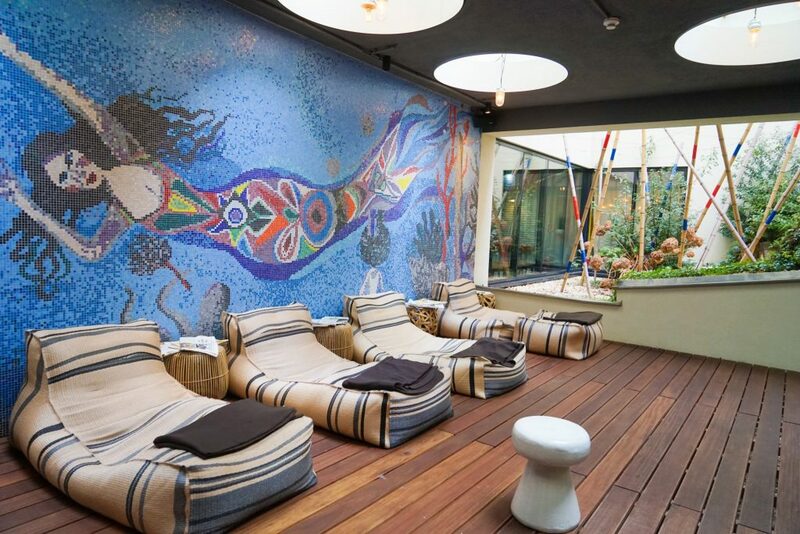 The house designed by Friedensreich Hundertwasser draws visitors from around the world and is renown for is colors and unusualness – There are hardly any straight lines to be found here! 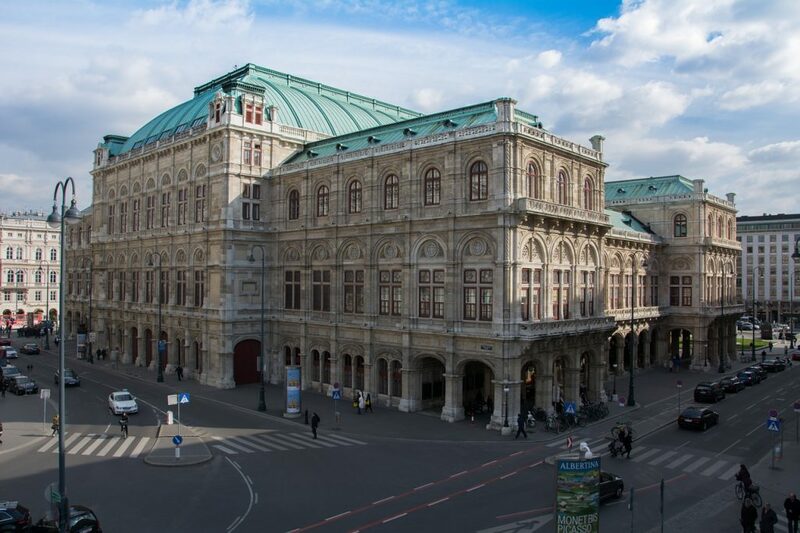 Grab a coffee and admire the view, or catch up on this famous artists history at the nearby Kunst Haus Wien. Also by Hundertwasser in Vienna is the Spittelau waste incineration plant – quite the sight to behold at sunset and a landmark of the city. Looking a special meal in Vienna, but don’t want to splash out too much? 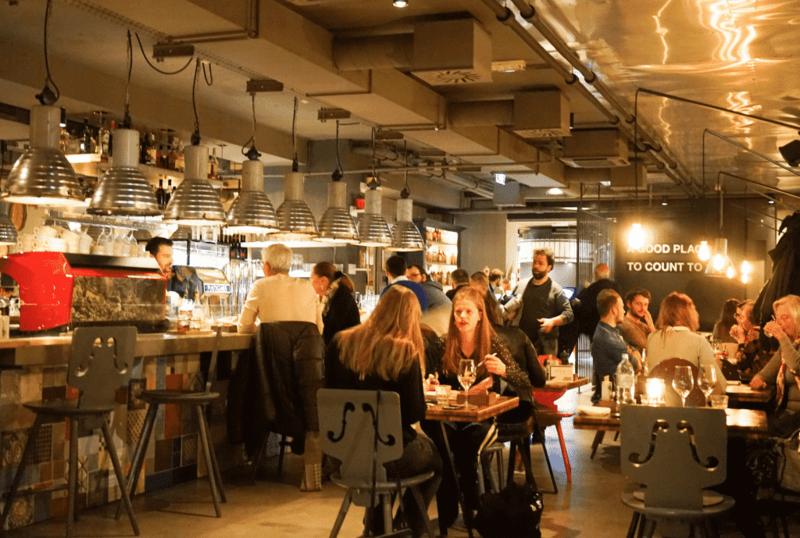 1500 Foodmakers is the perfect fit serving up relaxed grub in a trendy and exciting atmosphere that will make you feel part of the ‘hip Vienna’ scene. With innovative cocktails from €6 and modern Italian dishes from €10 it’s a great night out without breaking the bank. Even better, the staff doesn’t seem to take themselves too seriously and have a great laid back attitude which makes you feel part of the fun. My new favorite ‘go to’ in Vienna in a central location with prices cheaper than most bars! 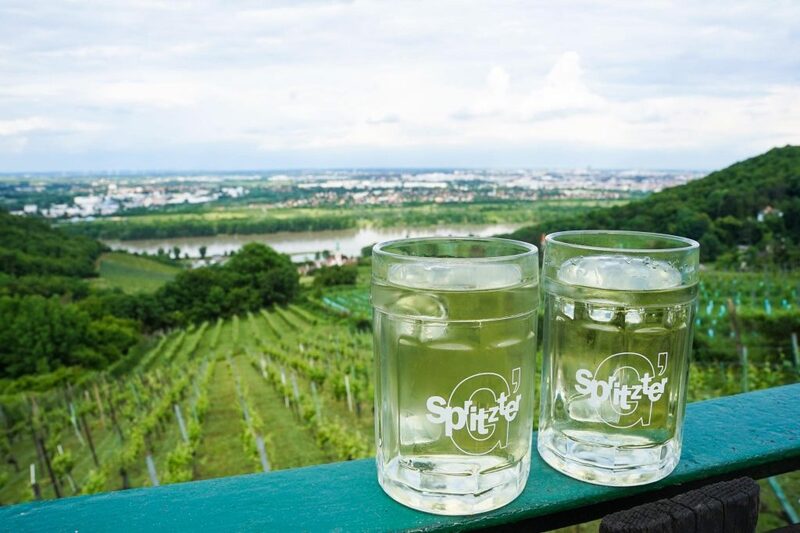 Spend the day sipping wine in the Viennese vineyards on a do-it-yourself Vienna Wine Tour. 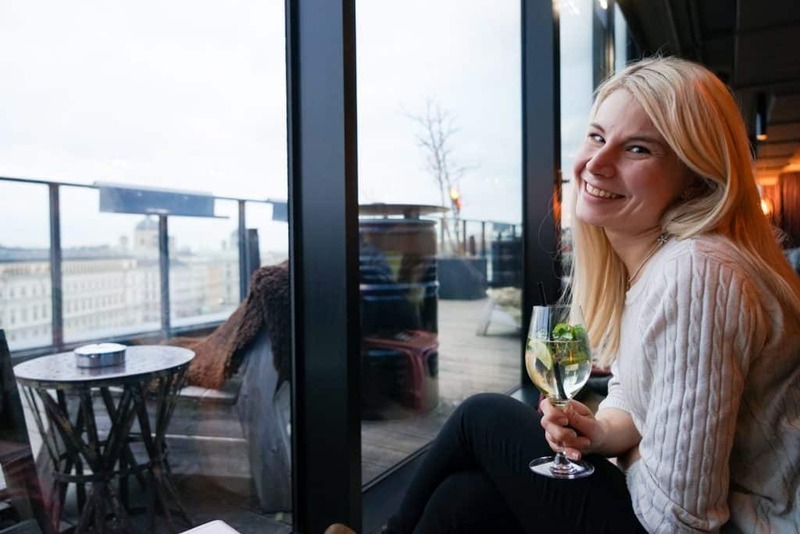 Vienna is one of the only cities in the world where wine grows within the city limits and on a summers day there is nothing better than wandering between the Vienna vineyards – sampling the best food and wine at incredibly low prices. The fit-out is rather cheap and basic but the wine is top notch and the festivities can go all day and into the night. It’s your own Vienna Wine Tour so you decide when it ends! Be sure to try the Grüner Veltliner….And to not miss your last bus home! 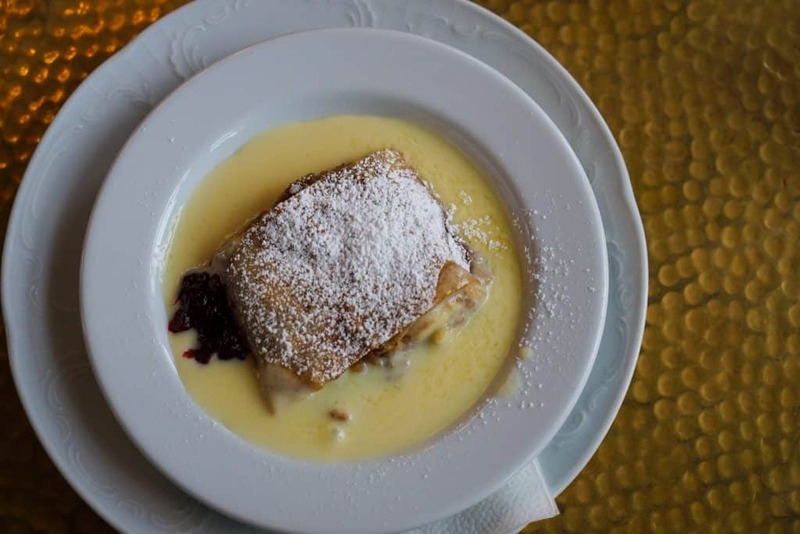 Sip a Wiener Melange and enjoy Apfel Strudel at a Viennese coffee house ” where time and space are consumed, but only the coffee is found on the bill”. 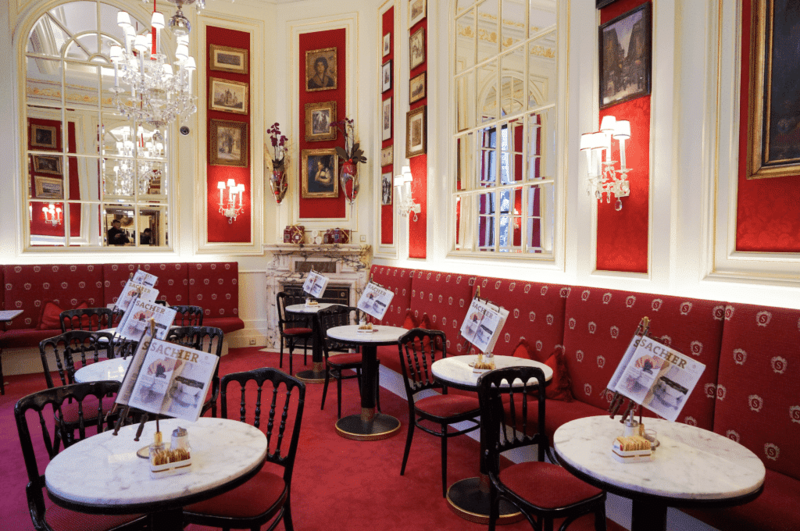 It could be argued that nothing is more quintessentially Viennese than the coffee house’s which played such an important part in shaping their culture and it’s now listed as “Intangible Cultural Heritage” by UNESCO. Spend as long as you like, there is no need to rush out and order more, relax and listen to the sounds of Piano and conversation as the afternoon turns into evening. 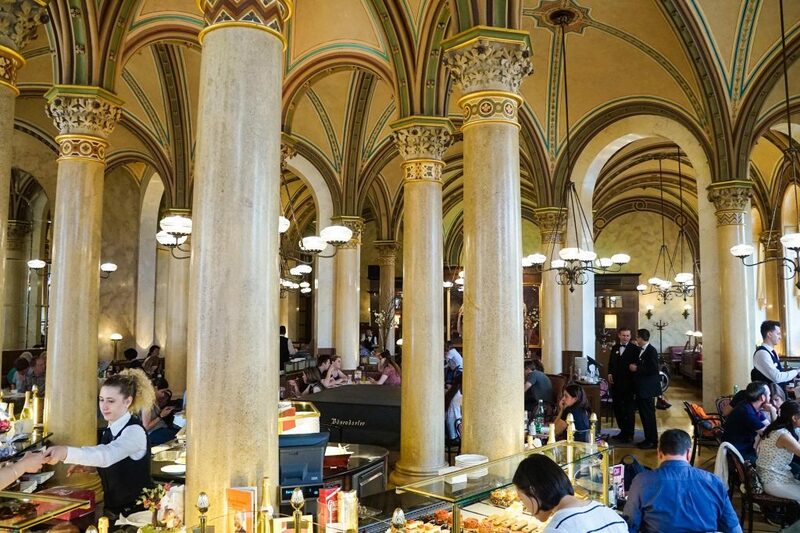 My favorite is Café Central [pictured] located at Herrengasse 14 in the first district of Vienna, because of the architecture and history. In 1913 alone Josip Tito, Sigmund Freud, Adolf Hitler, Vladimir Lenin and Trotsky were all known to have frequented here! For a quieter, less flashy experience you can also check out Café Sperl in Mariahilf district. Far more local, with a truly old-world vibe it’s a close second! Spend a day in the sun at the Danube Island. Easily accessible by U-Bahn or Bike the Danube Island is a 21km island in the Danube River which provides the perfect opportunity for swimming, boating, cycling, skating, beach volleyball, and of course – picnicking. A trip here is never boring with many free concerts throughout the summer and plenty of different groups meeting here including musicians, boxers and singers, so people watching is also at its best. The water is crystal clear in places so be sure to bring your swimming trunks and admire the skyline from a new vantage point! The Danube Island is also home to some amazing EDM festivals throughout the summer if you want less relaxing and more excitement! Go ice-skating in front of the Vienna Town Hall (Wiener Rathaus), the cities neo-gothic crowing jewel. In how many cities of the world can you skate your worries away in front of the town hall – and one as beautiful as this as well! Music flows through the air and good vibes ensue at the Vienna Town Hall (well outside at least!). 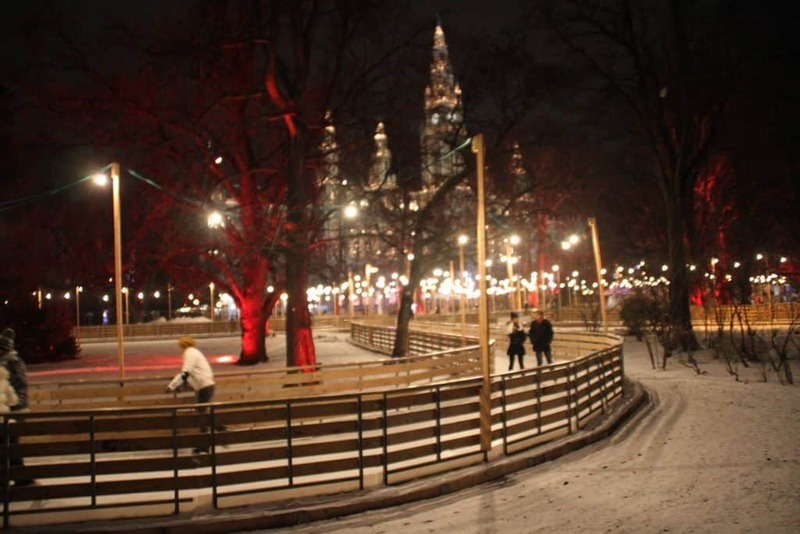 There is also an ice path through the surrounding forest to enjoy and traditional drinks such as Glühwein to keep you warm inside. It feels just like a fairytale! 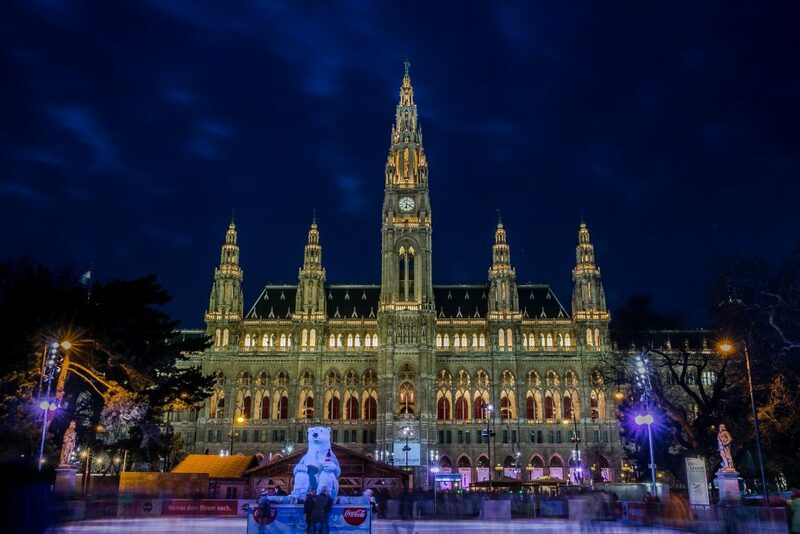 If you’re visiting in the summer, don’t worry you can take a free guided tour of the Vienna City Hall or look out for the famous all-night parties hosted periodically within (they are kind of hard to find but you can start looking here for upcoming events). 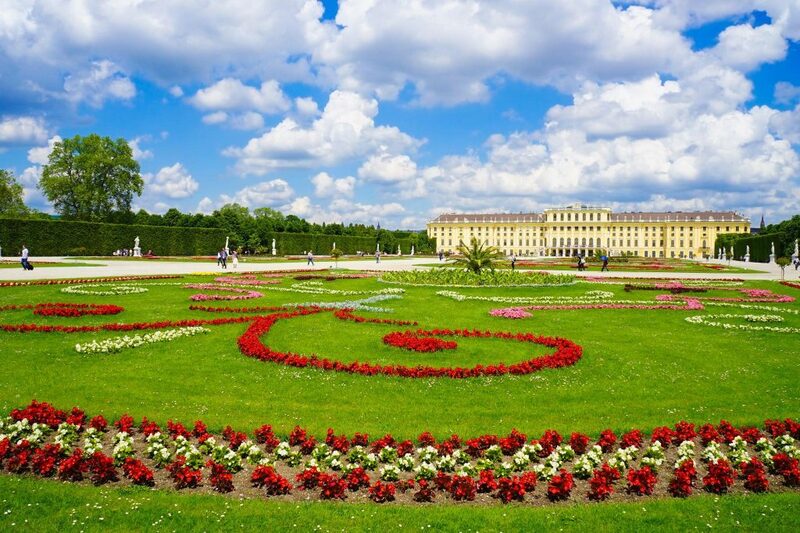 Marvel at the Baroque splendor that is the Schönbrunn Palace Gardens. 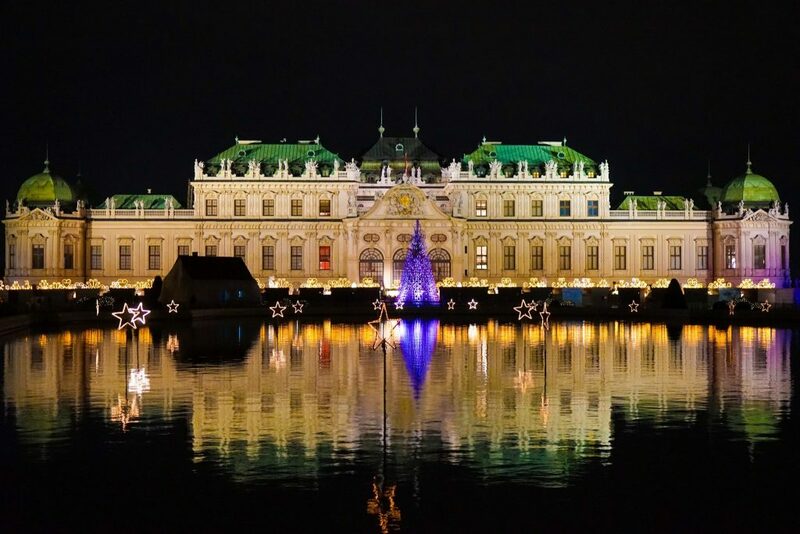 A 1,441-room palace that is probably the most important architectural, cultural, and historical monument in Austria that has a 300-year history deeply intertwined with successive Habsburg monarchs, most significantly Franz Joseph and Maria Theresa. 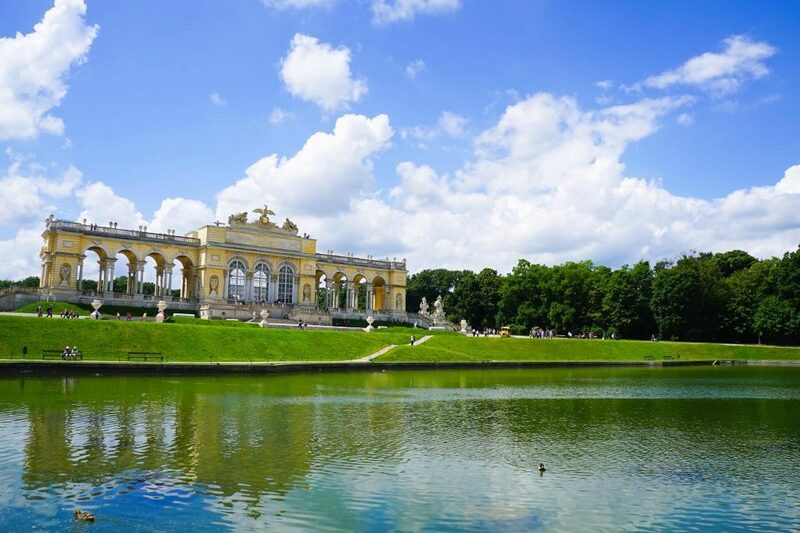 The whole site including the Schönbrunn Palace gardens has been listed on the UNESCO World Heritage List since 1996 and is one place you absolutely cannot miss come rain or shine. If you have kids with you, a visit to the Schönbrunn Zoo [the oldest zoo in the world] is also a must – not least as they have Giant Panda’s! I could dedicate an entire article to design stores in Vienna – and often think of starting a blog just to cover Vienna – but for now, just head to Neubaugasse, Lindengasse or Kirchengasse, home to Vienna’s most creative design shops and the highest concertation of boutiques. Why not stop in the gabarage upcycling design store to marvel at ingenious upcycled furniture, lamps, fixtures, bags, and jewelry, or the HABARI Design Store with affordable African inspired textiles and unique artisan crafts from around the world. Marco Simonis Urban Appetite is also another must visit, with artisanal foods and homeware, and an impressive selection of gin with dirt cheap tastings. 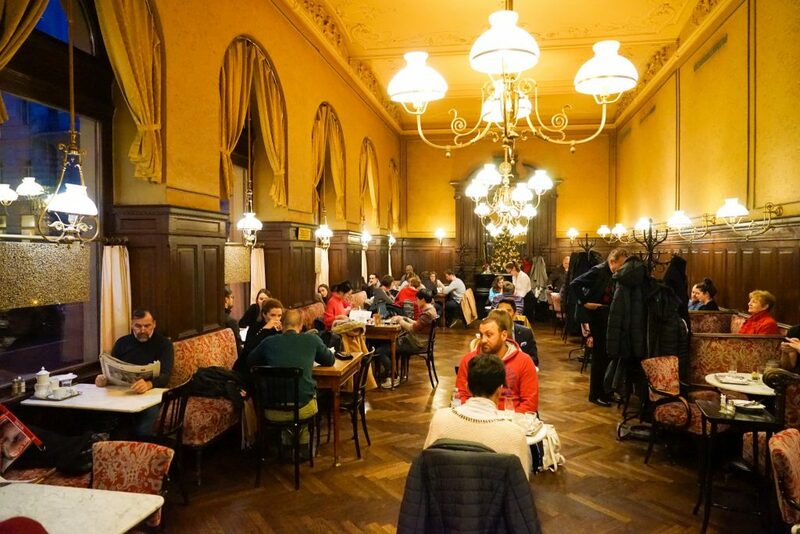 I could kick myself for missing this place on my previous 10 or so trips to Vienna, but hidden in plain sight amidst the cities imperial landmarks in this ethereal coffeehouse and bar. A pulsing space filled with botanicals, chic design, good service and wonderful coffee, the Palmenhaus is actually found in the former Emperor’s glasshouse, tempting you with the unique experience of sipping Viennese coffee inside a lush rainforest setting. There really is nothing else like it! For an even more impressive time, visit this iconic 1822 Art Noveau steel and glass structure in the evenings when the colorful interior lights are in full effect and Vienna’s high society indulge in the Palemnhaus first-class culinary creations, diving cocktails and – of course – the famous Vienna Schnitzel. During the warmer months, tables spill outside and crowd fight for a spot at sunset overlooking the statue-filled Burggarten. 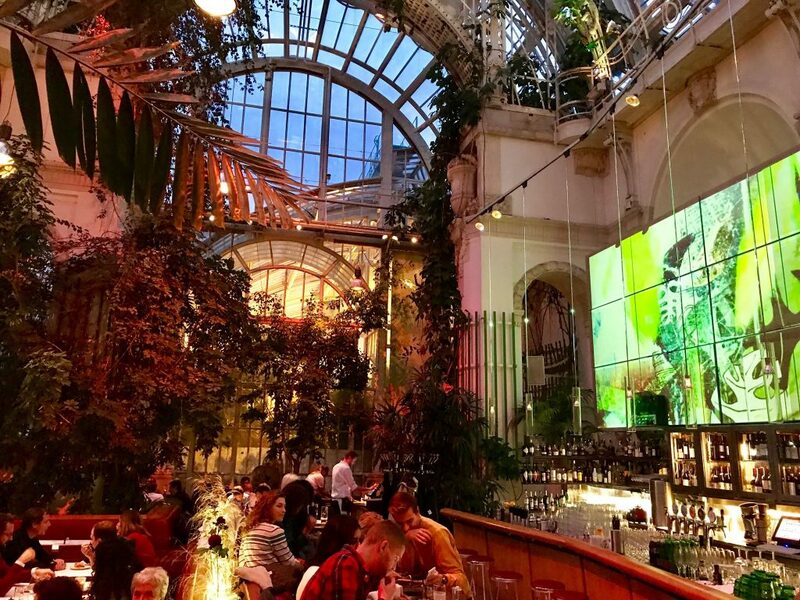 A striking café worth of a place on any list of Vienna attractions, the Palmenhaus is waiting for your – breakfast, lunch, dinner or even later! Pay your respects to the dearly departed in one of Europe’s biggest and most beautiful cemeteries with over three million souls resting at the Zentralfriedhof. Far from a morbid attraction, it is actually surprisingly peaceful to wander through the maple-lined paths here and admire the different architectural styles spanning different eras. If your into celebrity spotting – and no judgments as I visited Fidel Castro’s new grave in Cuba – you can find composer Beethoven, artist Hans Makart and pop icon Falcon in the Tombs of Honour, amongst many, many others. The latest underground hotspot in Vienna that everybody is talking about, Krypt.bar is the perfect way to see the more modern side of this city. Located in an 18th-century cellar, an inconspicuous door on a side street and narrow stairway leads you down to this 250 square meter award winning cocktail bar – not only offering marvelous cocktails but inspiring your soul with fabulous interior design (it was even awarded the 2017 American Architecture Prize, amongst many others). Try sipping a ‘Bunny daiquiri’ on the seven-meter long bar of marble and walnut or enjoy in a ‘Smokey Pear’ in the intimate booths or hidden lounges. It’s all very 1920’s speakeasy/prohibition style, and like nothing else on offer in Vienna. Great design, great cocktails, great atmosphere and non-smoking, what else you ask for! One of the biggest shocks to most people when they visit Vienna is finding out how expensive attractions are here. This might be central Europe but prices are not on par with Budapest or Prague – Vienna can be pricey and museums often have ticket prices more comparable with Copenhagen, London, Tokyo or New York. And there are a lot of museums …. 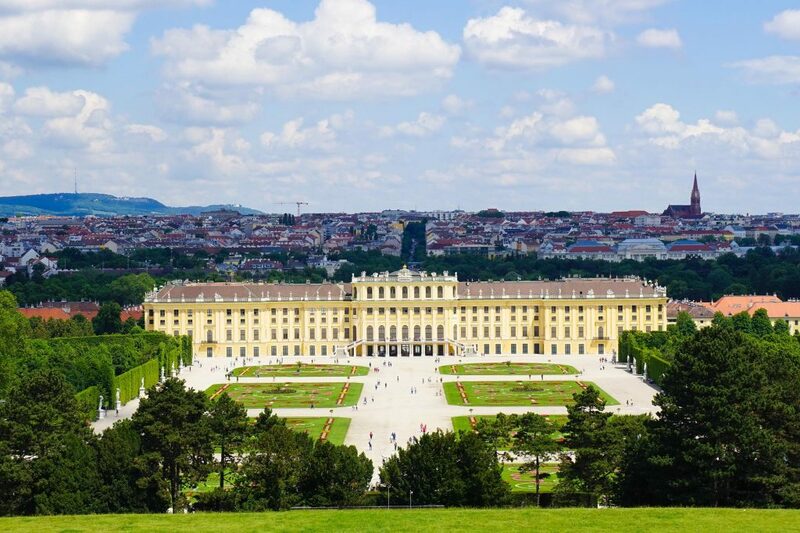 The best solution I have found to this is to grab the very affordable Vienna Pass which gives you free entry to over 70 of Vienna’s most admired attractions and museums, including the Imperial Palace, Schönbrunn Palace, and the Natural History Museum. 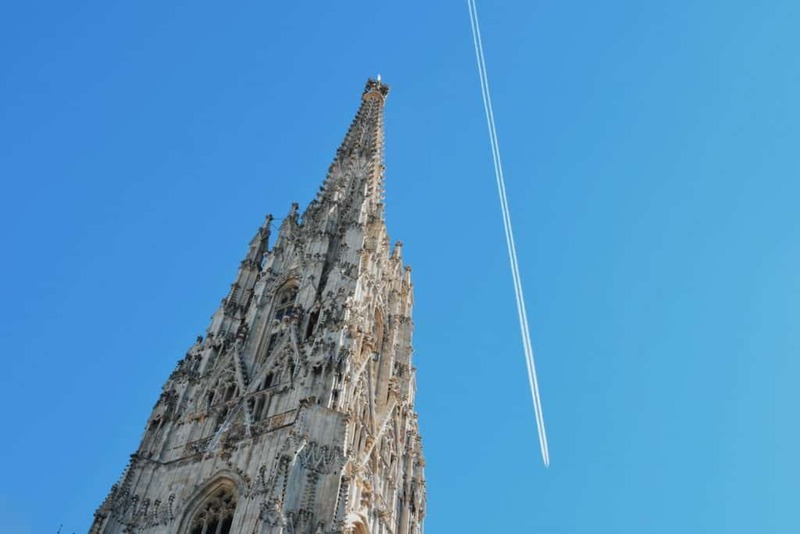 Not only that, but there is no need to wait in ridiculous lines that seem to be prevalent year round now as Vienna Pass grants you Fast Track Entry to most of Vienna’s top attractions. You should also go for the optional Travelcard available to cover all of your transport needs, which is great value and allows you to zip between attractions at easy. 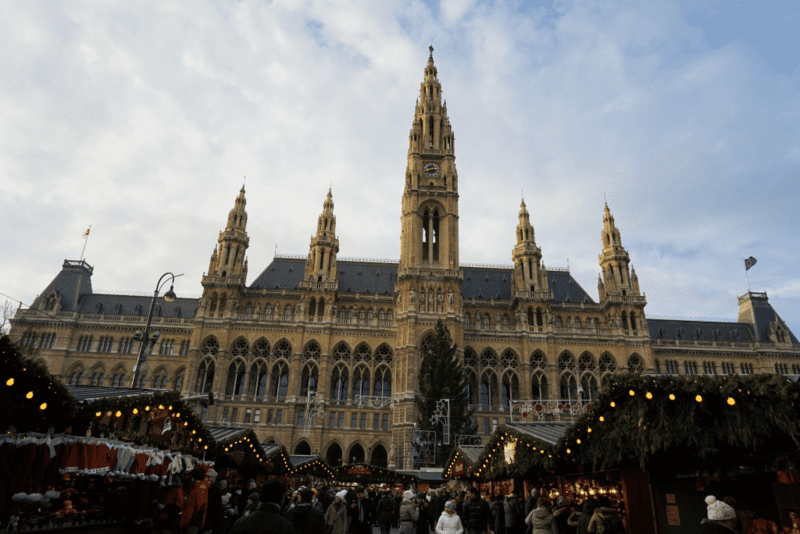 I don’t always recommend a travel card like the Vienna Pass, but in a city with such a wealth of attractions, sights, art galleries, museums, palaces, and exhibits – it can all be overwhelming. The Vienna Pass means you can pop into small micro-museums you might never have tried otherwise, and if you don’t like them, well – thank you, next! 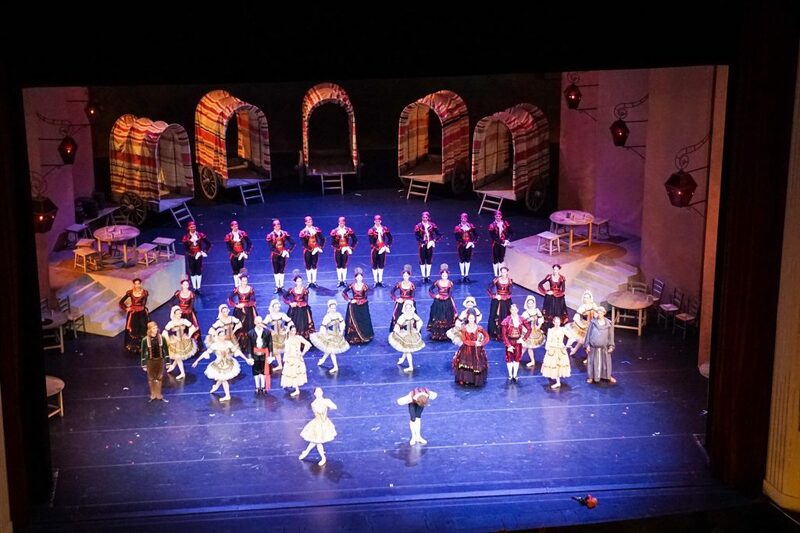 Take a ride of the Vienna Giant Ferris Wheel, unwind on a river cruise, drop by the Spanish Riding School, attend an Apple Strudel Show or go to the Danube Park Miniature Railway. 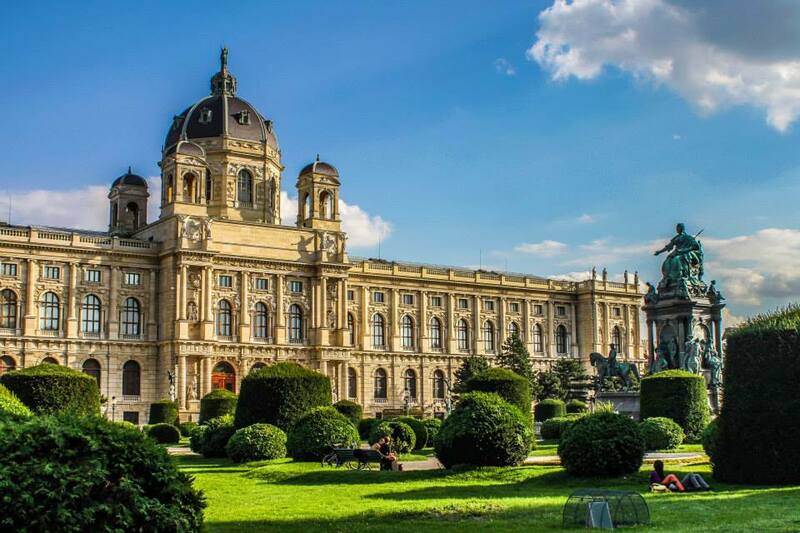 Or why not try your luck at the Papyrus Museum, the Globe and Esperanto Museum or the Imperial Carriage Museum…Its all included so you really can get so much more out of Vienna while no worrying about your budget. 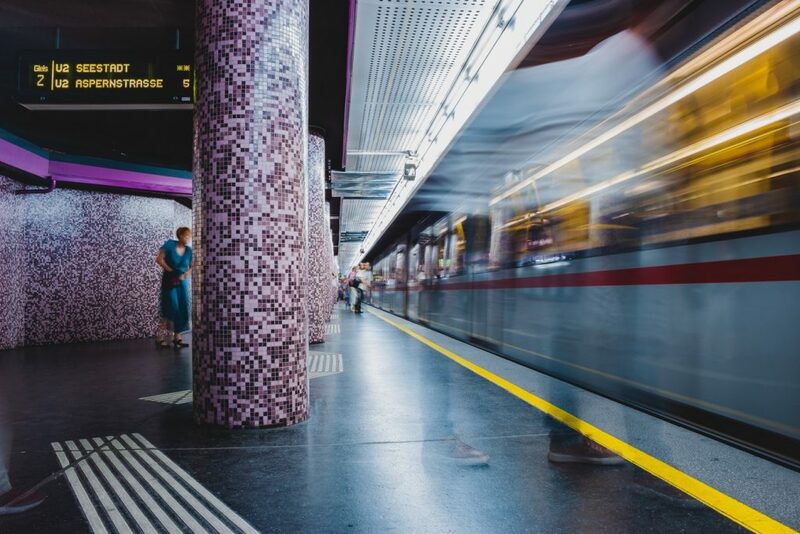 Even better is if you get the Vienna Pass in advance you get additional discounts and savings while having everything on your mobile – no time wasted! Wachau Valley from Vienna – Enjoy a day trip out to the Wachau Valley, where the Danube River winds its way toward Vienna. This historic valley [also a UNESCO site] is covered with vineyards and cute villages, while the hilltops have the highest concentration of castles in Europe. Head to the small town of Melk and then catch one of the ferries plying the scenic 24-mile stretch down to Krems where you can enjoy the vineyards and easily make your way back to Vienna. 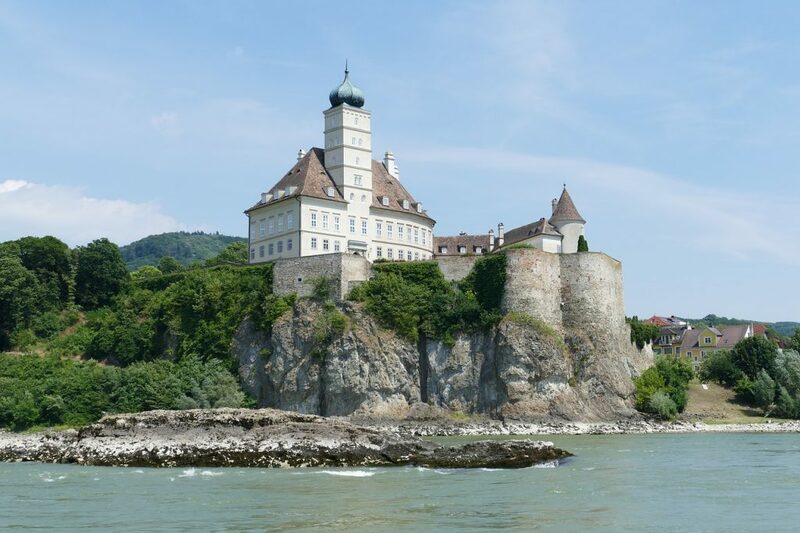 You can get to the Wachau Valley from Vienna either with by driving your own car or taking the modern high-speed train. Graz From Vienna – The second-largest city in Austria, Graz is predominantly a university town but is worth visiting for the modern vibes and different architecture – and the hilltop fortress Schlossberg (and it’s view) alone make the trip worth it. Also of interest is the Old Town, the famous Glockenspiel clock, and the newly opened award-winning Kunsthaus exhibition space. The town is also the birthplace of Arnold Schwarzenegger and has connections every hour from Vienna Central Station. 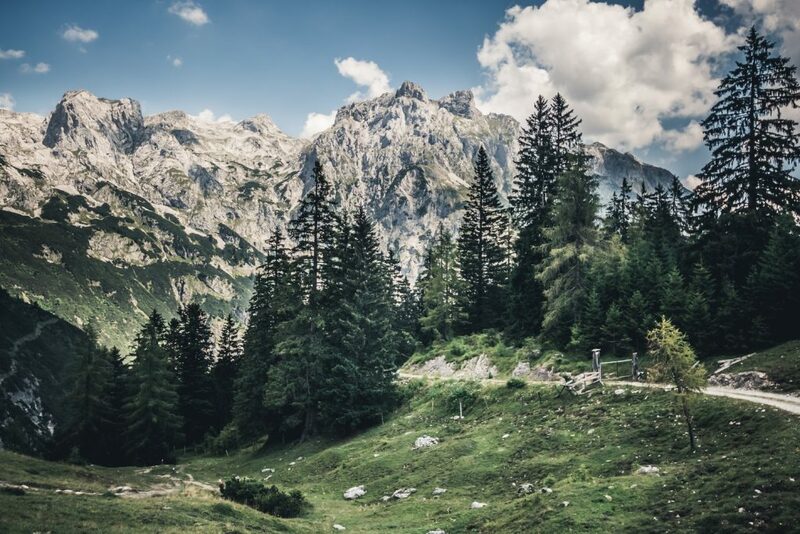 Bratislava From Vienna – Vienna and Bratislava are the two closest capitals in the world, so why not hop on a train and be wandering the streets of Slovakia in just over an hour? Bratislava has lower prices, a winding medieval city, a castle-fortress with killer views and try bryndzové halušky (small dumplings filled with sheep’s cheese and covered with pieces of meat) – it’s the national dish of Slovakia. 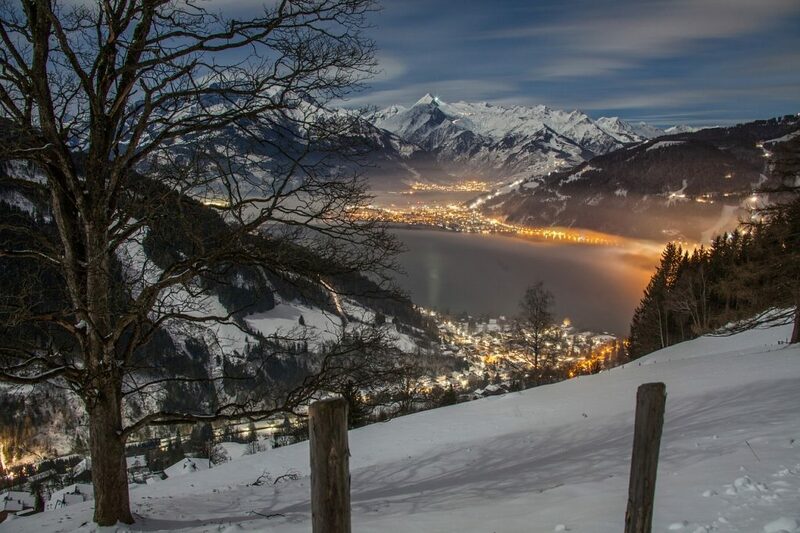 Salzburg From Vienna – Ideally you would head to Salzburg at least for a few days (with cheaper hotels in Salzburg than in Vienna..) but many travelers do opt to see it in only one day. The historic old town is pretty compact with its hilltop fortress as a focal point and can easily be seen on foot in a few hours. There is of course from Salzburg the obligatory Sound of Music tour (which is surprisingly not beloved by locals) as well if you can squeeze it in. Trains depart Westbahnhof for the intercity service to/from Salzburg every half-hour and take 2.5 – 3 hours on a modern high-speed train. Znojmo From Vienna – A medieval town just across the border in the Czech Republic, it’s compact core and historic center date back to the 11th century and the surrounding hills are part of the famous Znojmo Wine Region. 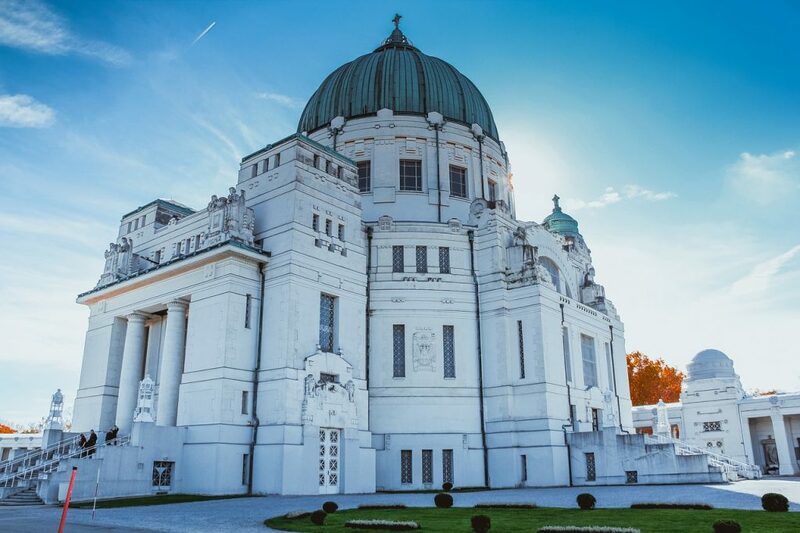 With a long and rich history as part of Moravia and then the Hapsburg Empire, you can expect cheaper prices, few tourists and plenty of beautiful buildings all within 10-15mins from the train station. 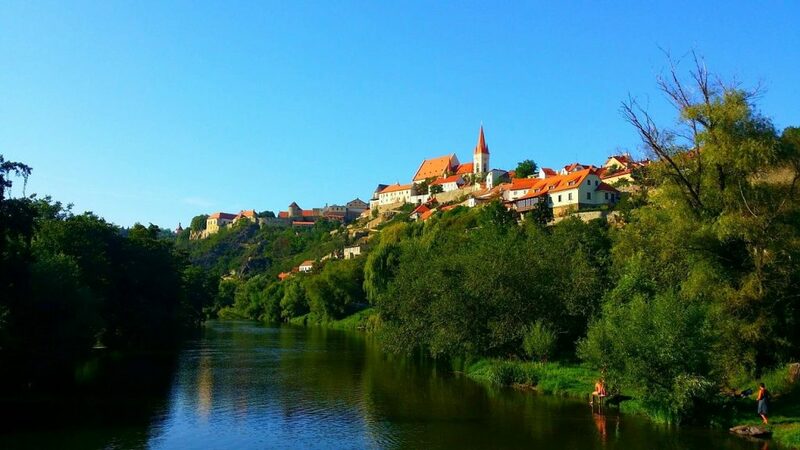 A great cheap day trip, Znojmo can be reached from Vienna in 90 mins with departures every 2 hours – but if you have time on your hands, why not stay a night and take advantage of those much cheaper Znojmo hotels. Not just in Europe for the glorious imperial wonders and modern nightlife of Vienna? 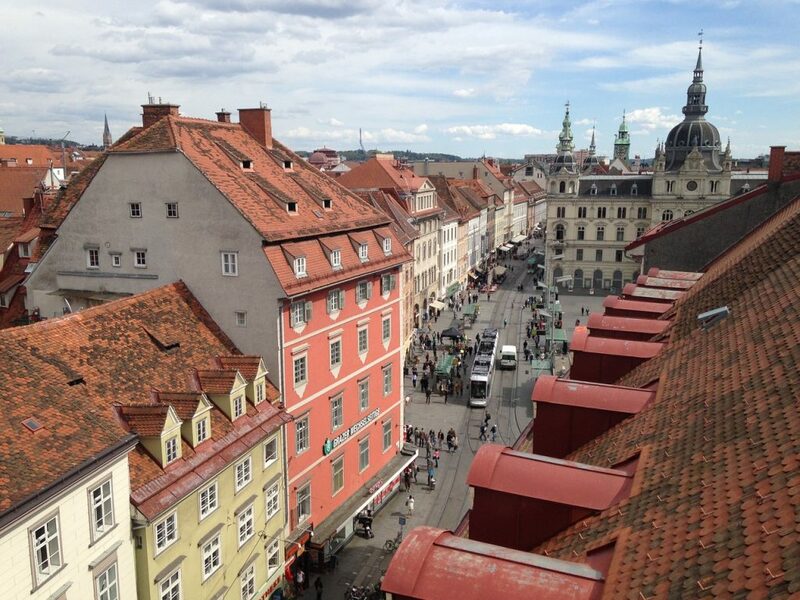 Here are some great other guides and cities to continue on your Euro Trip From Vienna. Make sure you get your Eurail train ticket before you enter Europe for big savings and the freedom to hop on and off almost any train in Europe on a whim! What could be better right! Prague – Beloved by all, Prague may possibly be one of the most well-preserved cities in all of Europe because it somehow managed to escape the destruction of WW2 and decades behind the Iron Curtain unscathed. 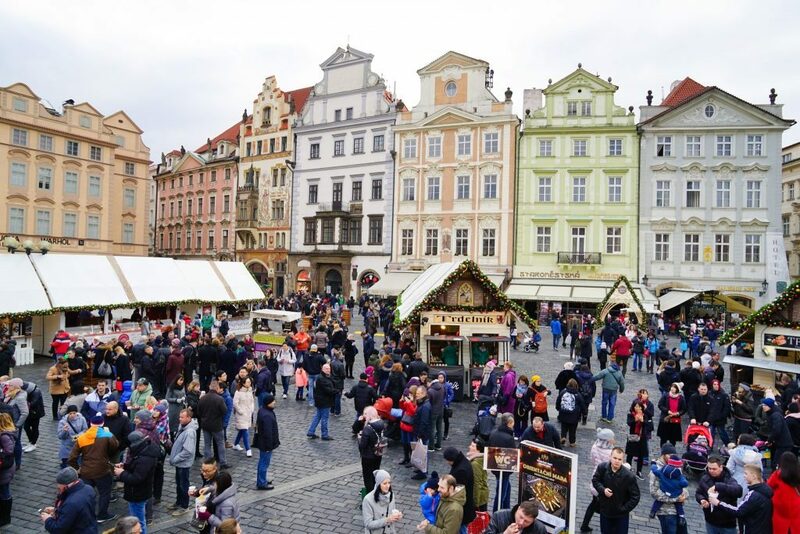 For a fairytale experience (and perhaps some snow) why not visit Prague at Christmas… Or check out Gay Prague? 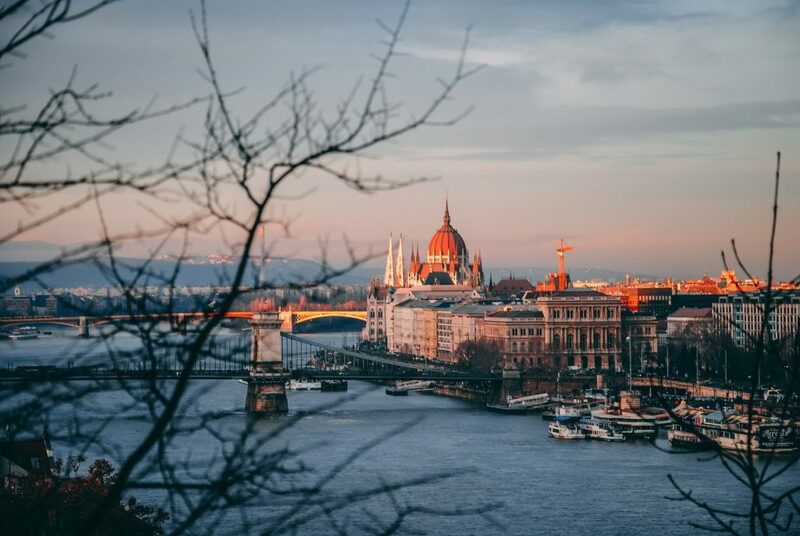 Budapest – The joint capital of Vienna under Austro-Hungarian rule, Budapest is famed for its ruin pubs, cheap prices, spa culture and Parliament building. Find out everything you need to know for the perfect Budapest weekend away! 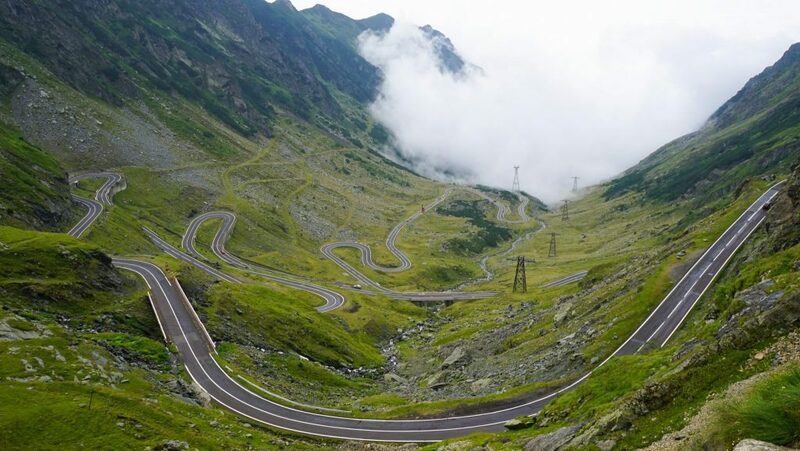 Romania – Ok, so it’s an entire country over but Romania is probably one of my favorite countries in Europe and deserves to be on every adventure travelers bucket list. Not convinced? See these 50 incredible places you can’t miss on an epic Romania road trip and then tell me I am wrong! And then, of course, you’re only a short hop to Chișinău, Europe’s ugliest capital! Munich – A more boring version of Vienna in my mind, there is still a lot to love about Munich and it does have almost as much history. 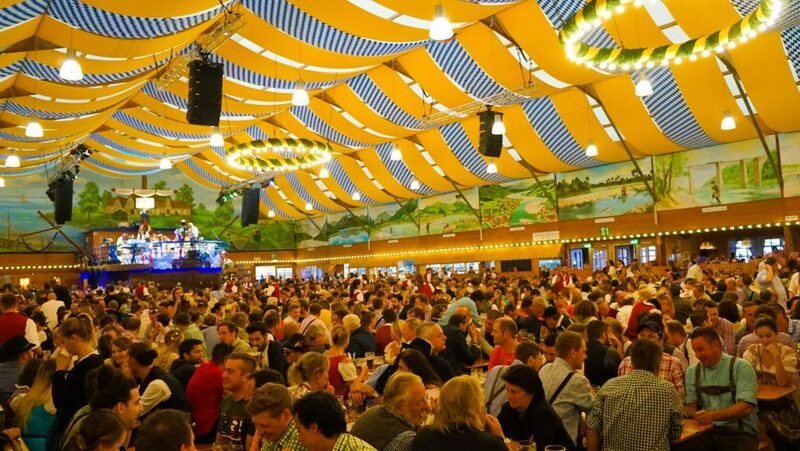 If you can plan your visit around the one-of-a-kind Oktoberfest or the German Christmas Market season. 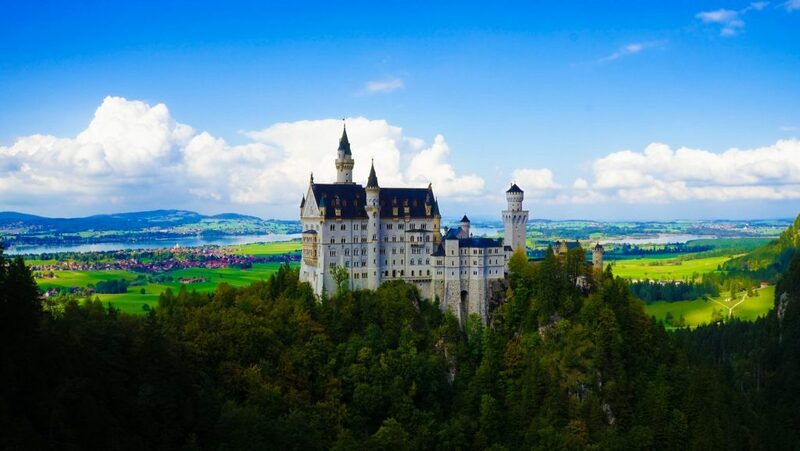 Otherwise, a day trip To Neuschwanstein Castle is always a winner, no matter which season you visit it. 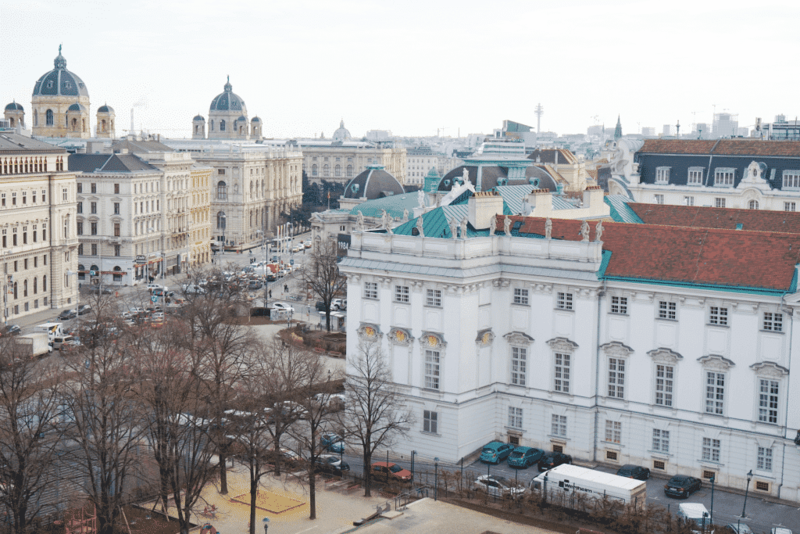 I hope this list has inspired you to put Vienna on your travel bucket list, or if you have already been to head back and explore more the city that keeps on giving – either as a local or as a tourist! 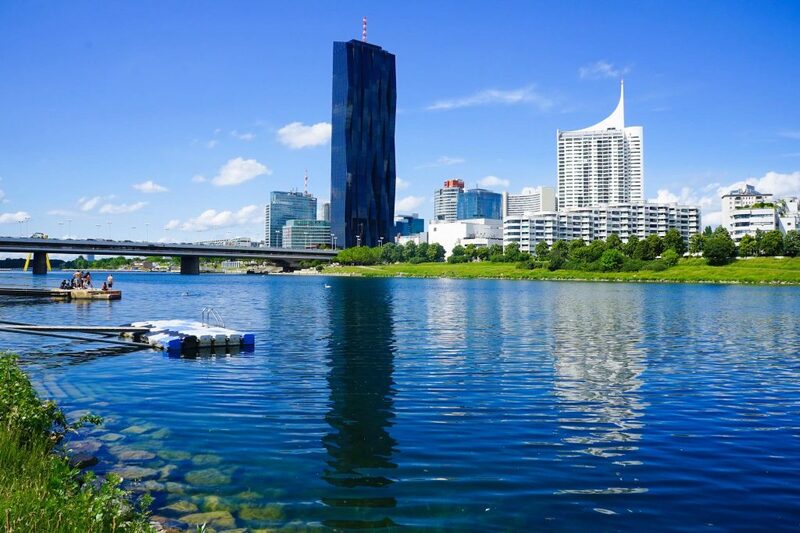 You can’t possibly say you don’t know what to do in Vienna now at least and even if you’re not a city person there is always the Krapfenwalk Pool and plenty of beautiful natural places to relax, especially in the summer! Or that cake & coffee….MMMMMMMM. Have you been? 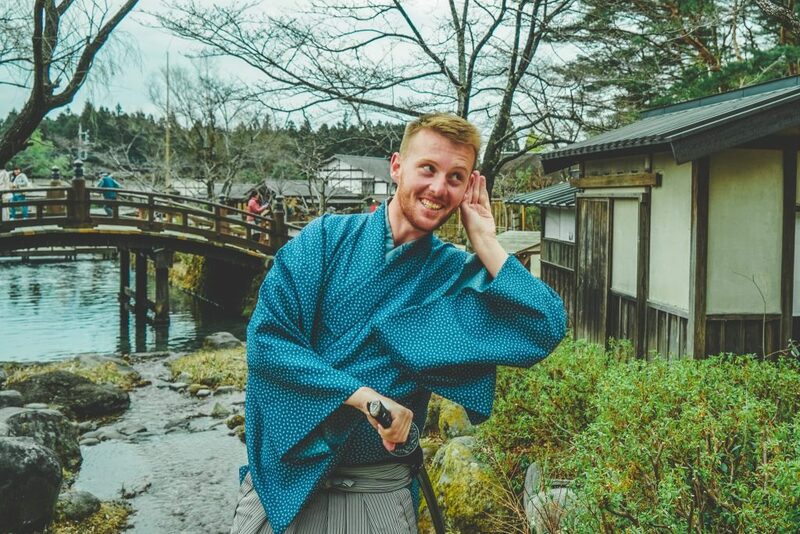 Let me know your favorite things I may have missed in the comments below so I can have new idea’s for next time I visit!